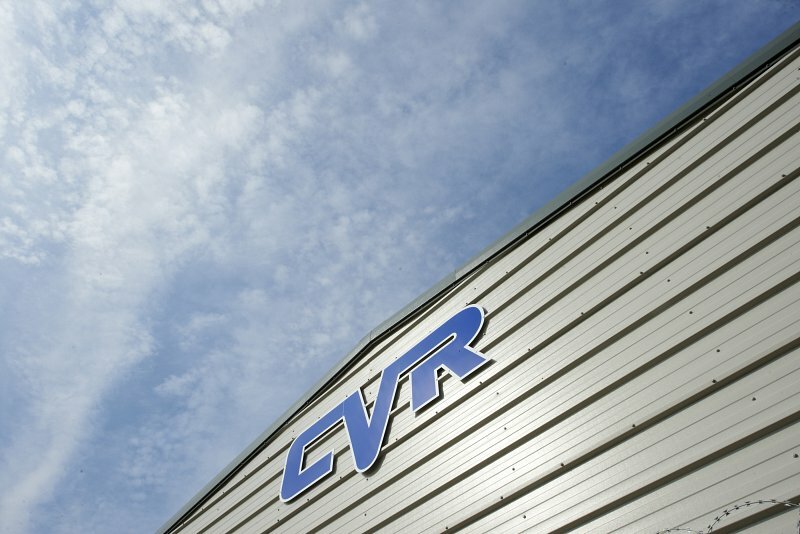 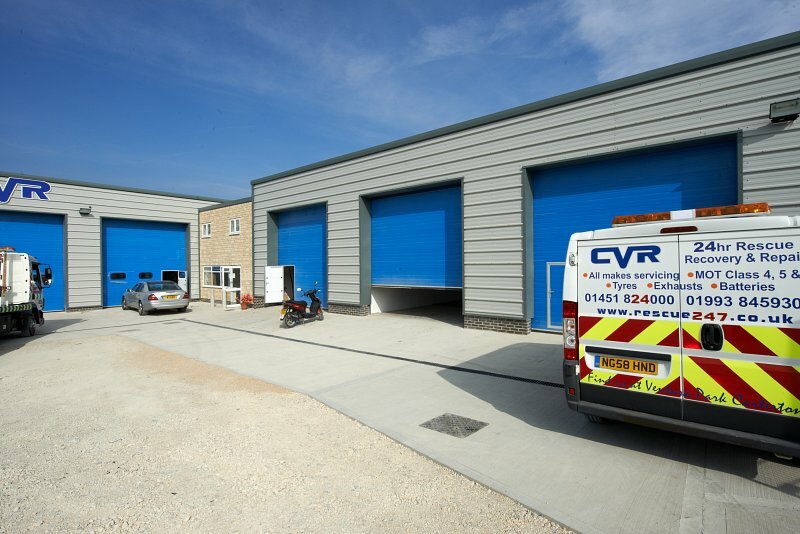 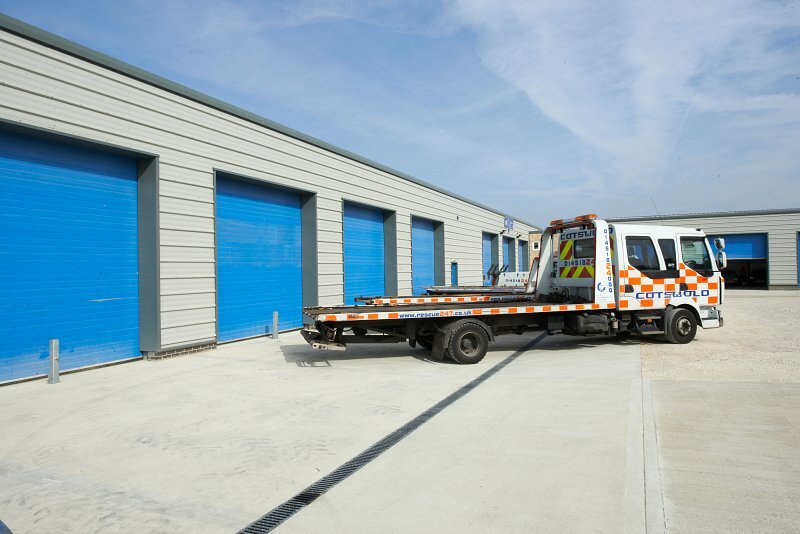 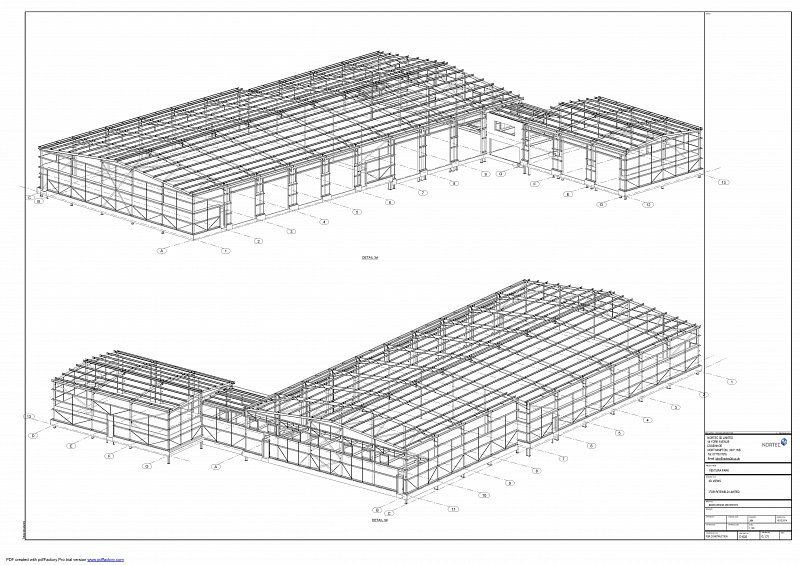 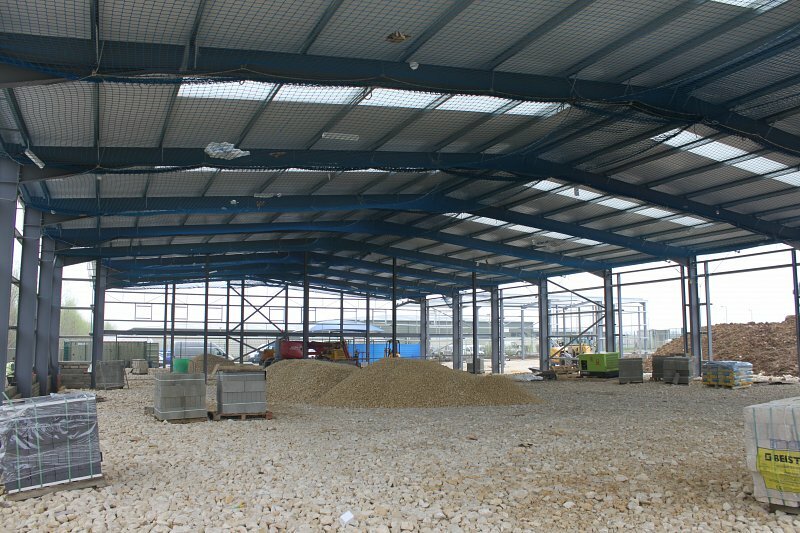 Riteweld Engineering was approached by Cotswold Vehicle Recovery to provide a “JCT design and build” solution to meet their growing companies need for a larger service station based in Carterton, Oxfordshire. 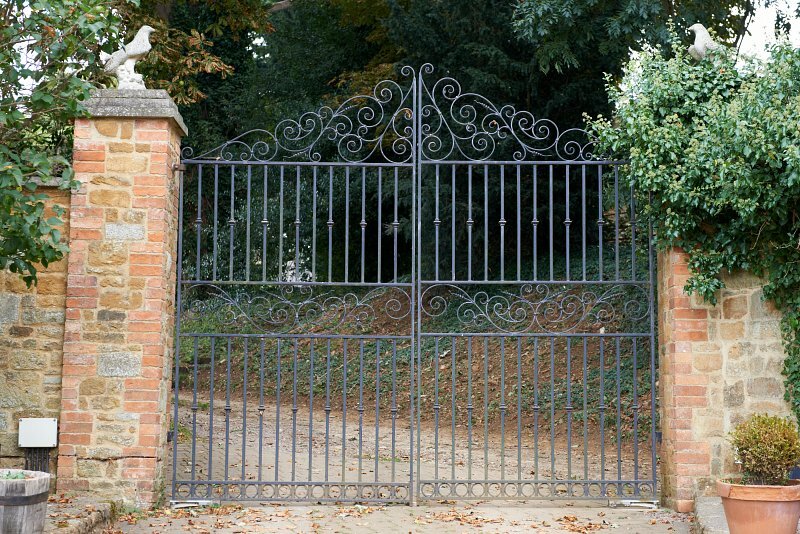 The scrollwork within the entrance gates was hand-forged to create detailed and ornate patterns, complementing the main framework of the gates. 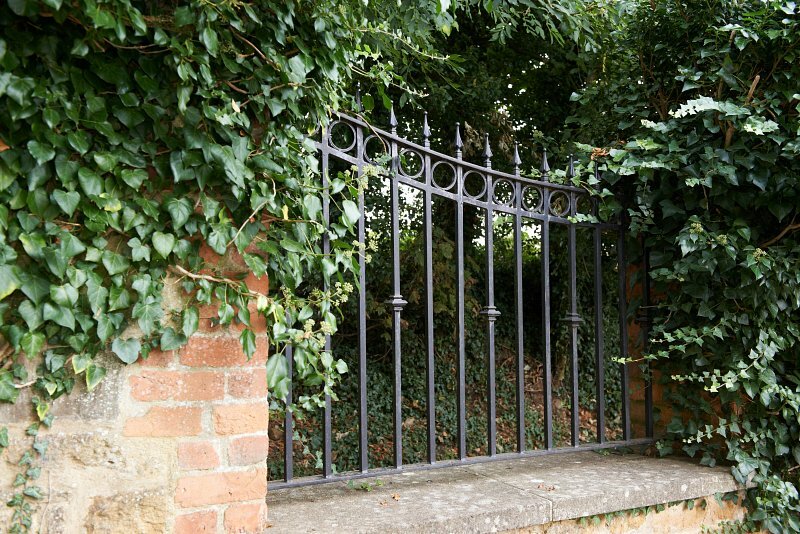 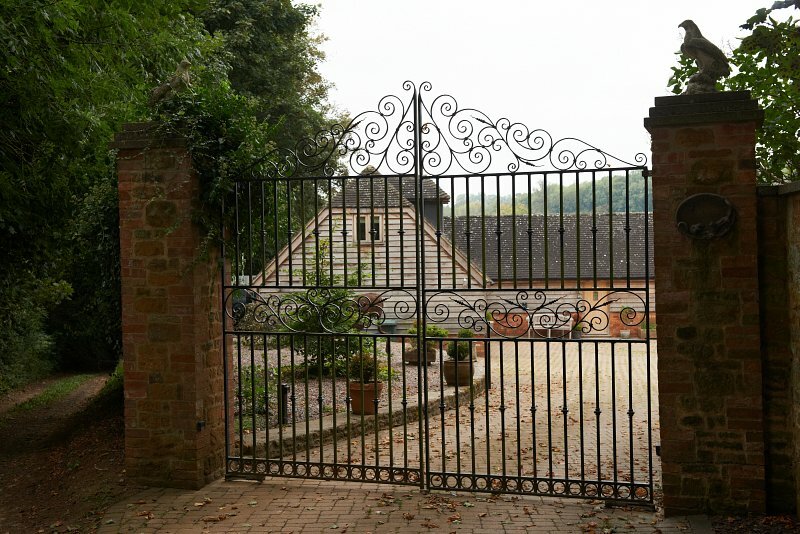 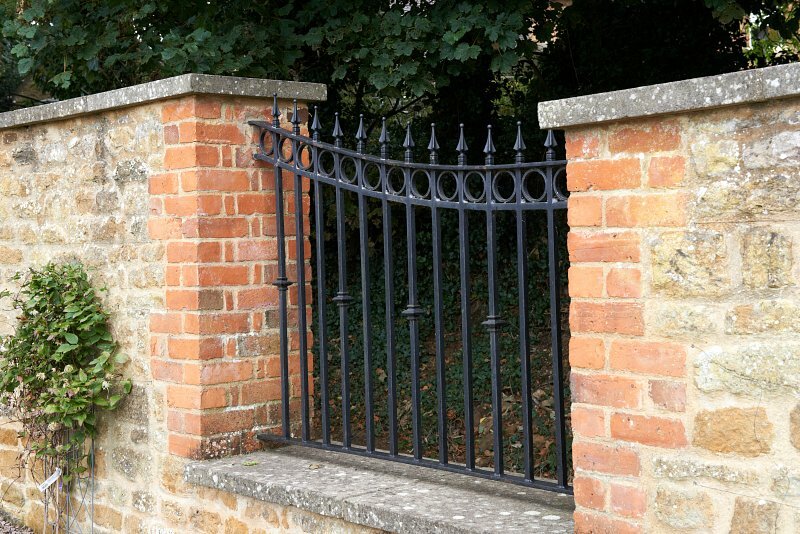 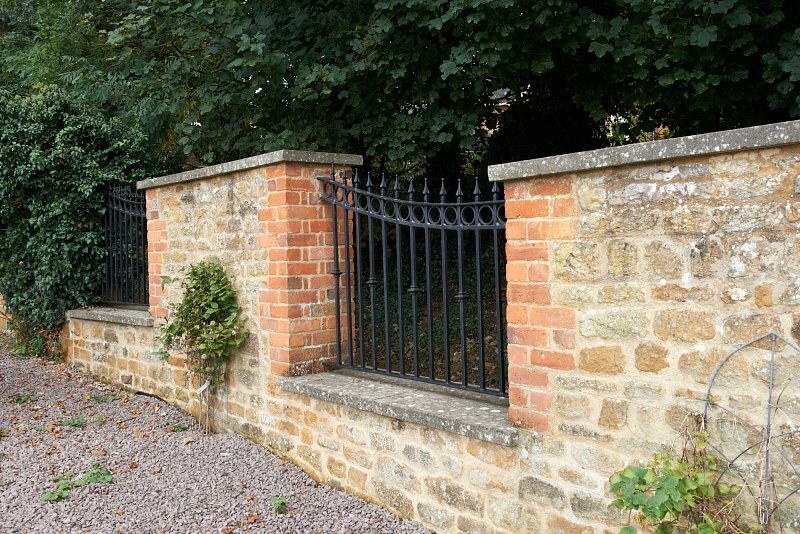 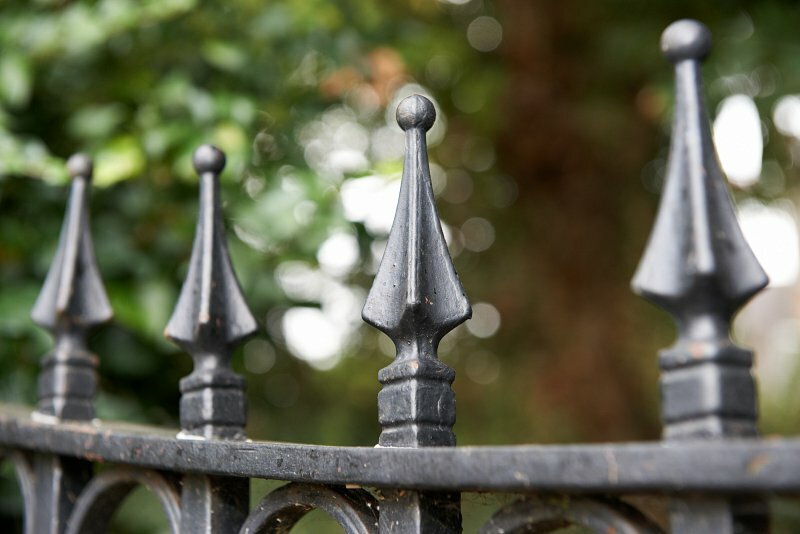 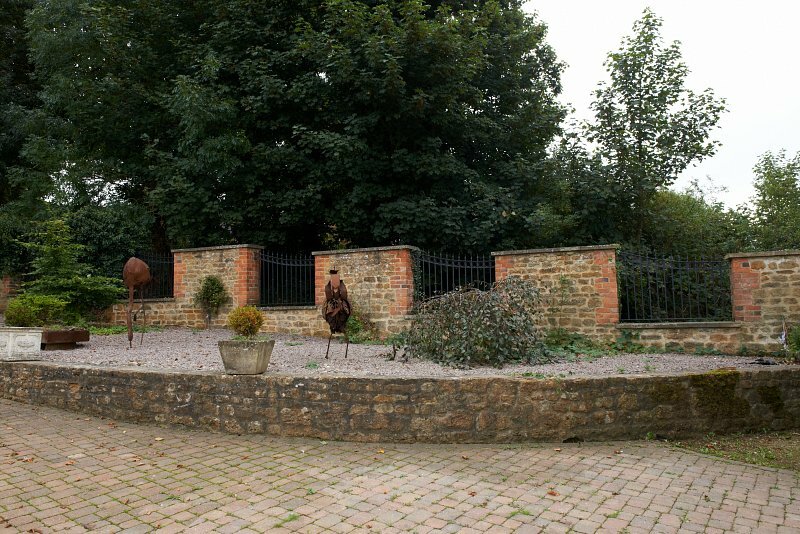 The turreted security infill railings were designed in a similar fashion to the electric gates and were installed carefully between each pillar of local Hornton stone. 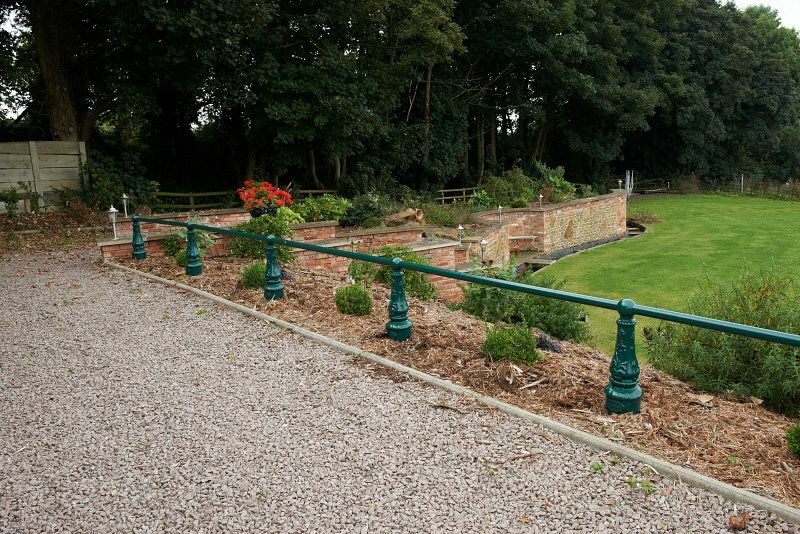 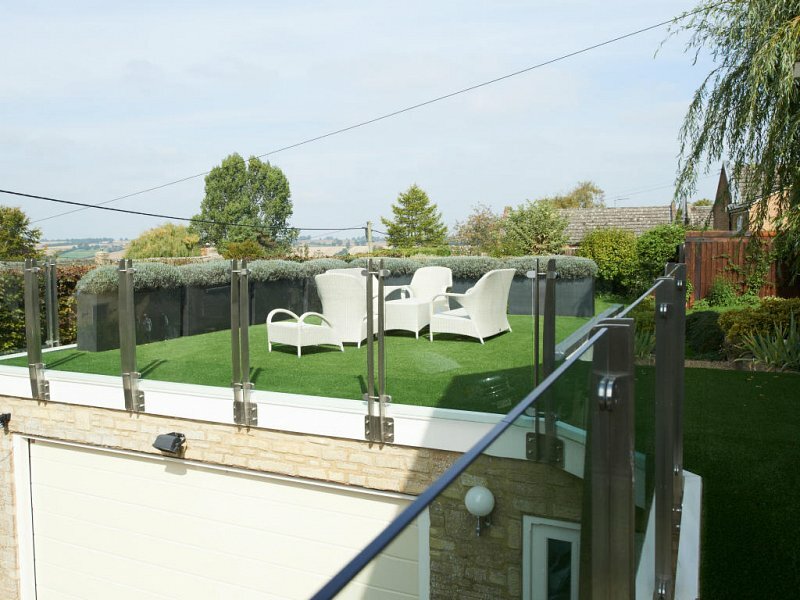 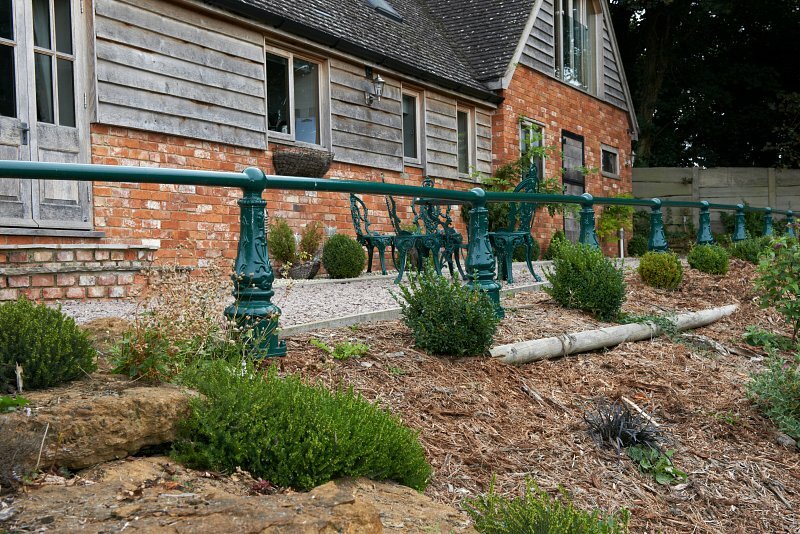 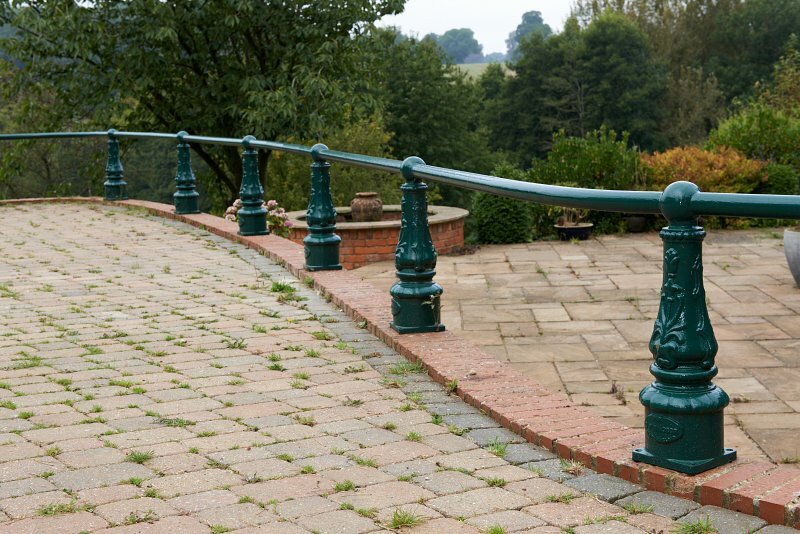 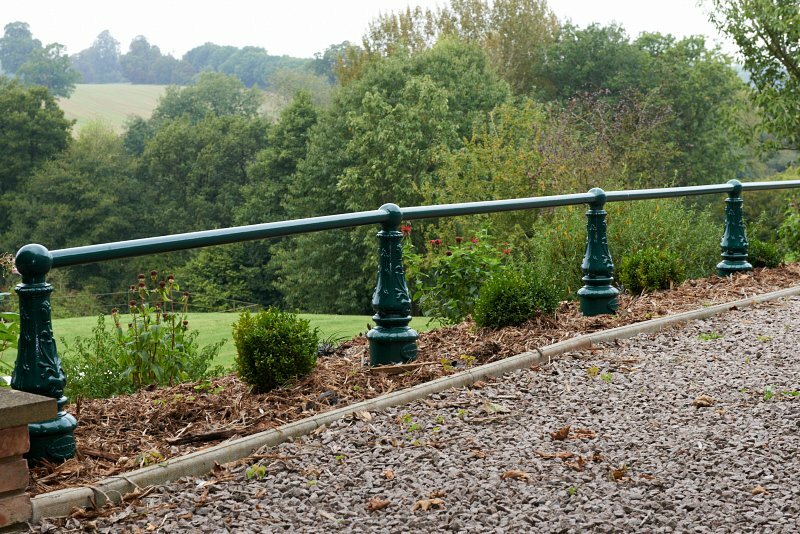 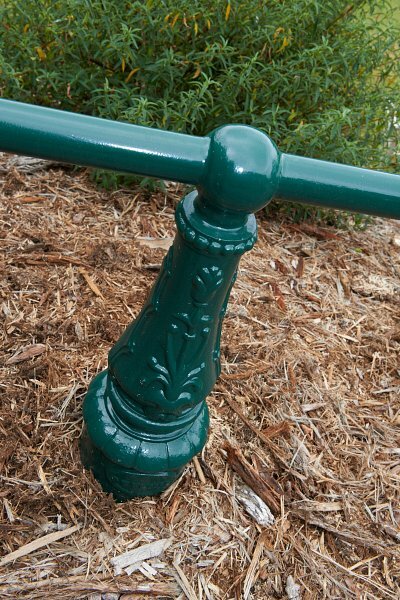 To offer protection from the steep garden, garden edge protection balustrading was designed and powder-coated in a green colour to match the client’s favourite nearby cast-iron table. 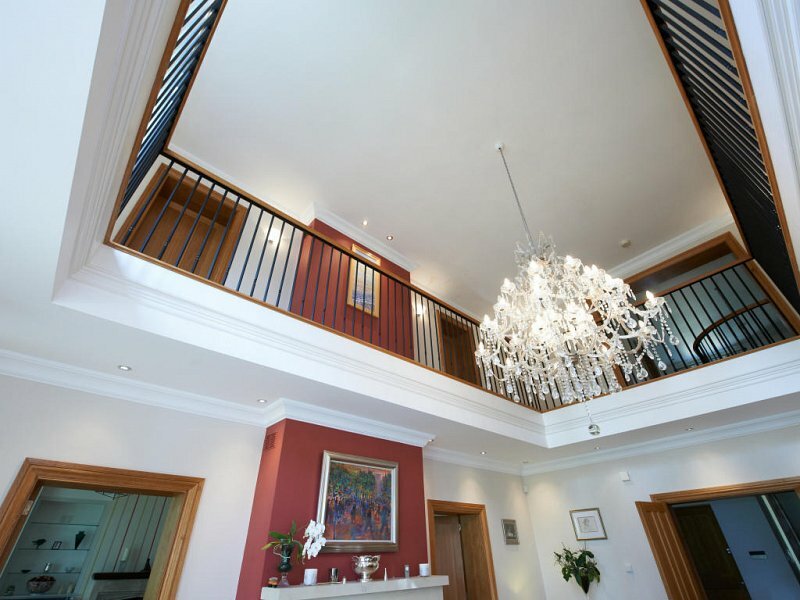 The client was “absolutely thrilled” with the final result. 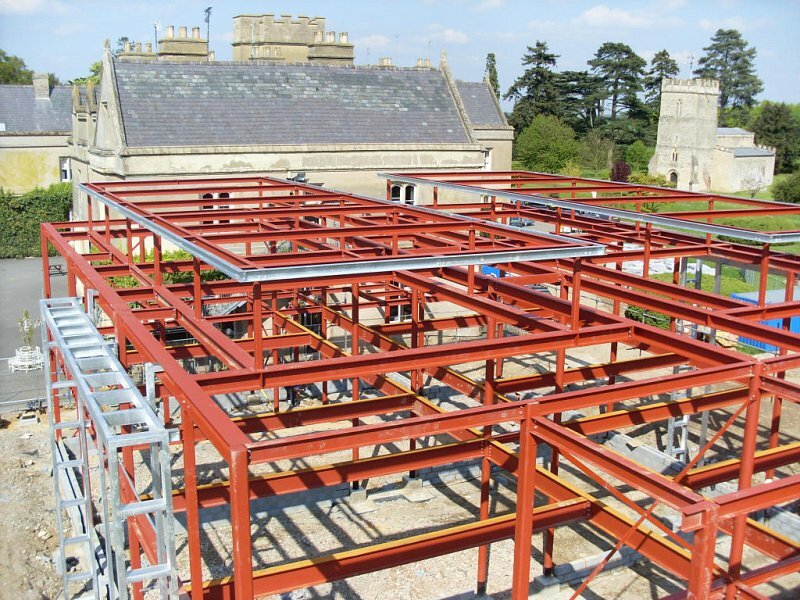 After a long working relationship with Tudor Hall Independent Girls’ School, Riteweld Engineering was appointed for the third year in succession to carry out extensive remodelling to the accommodation blocks. 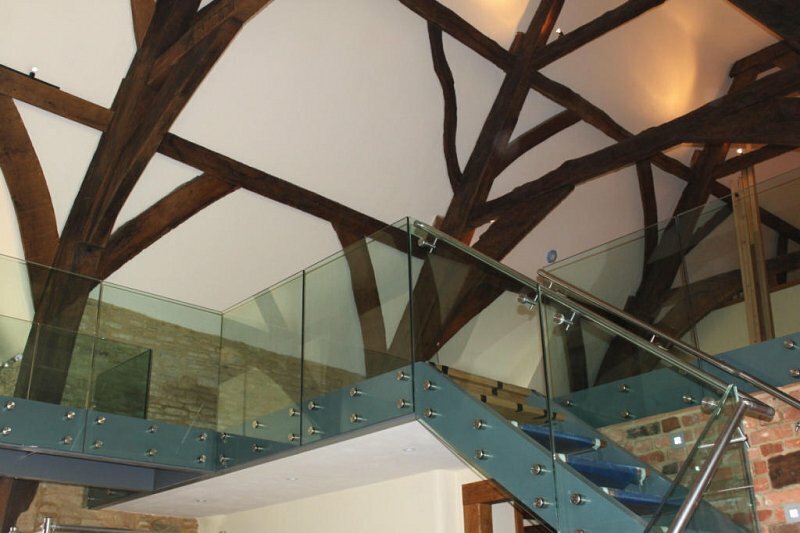 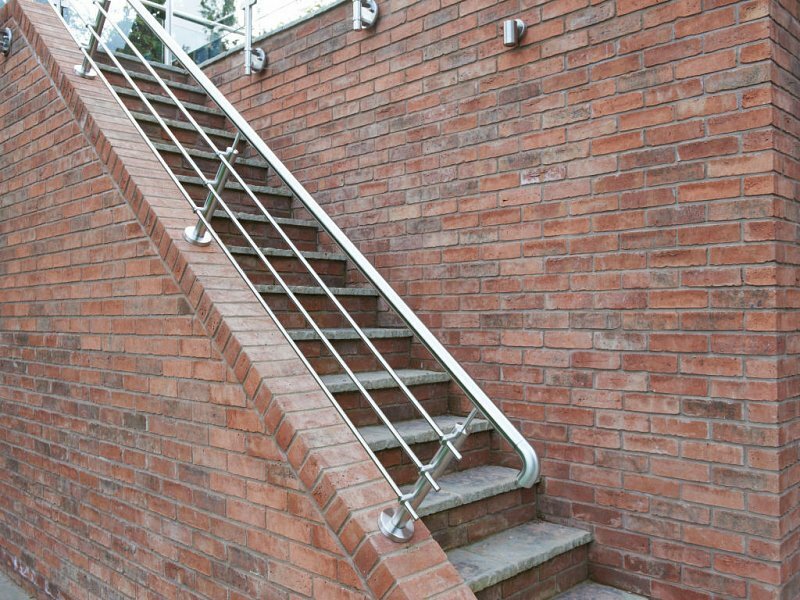 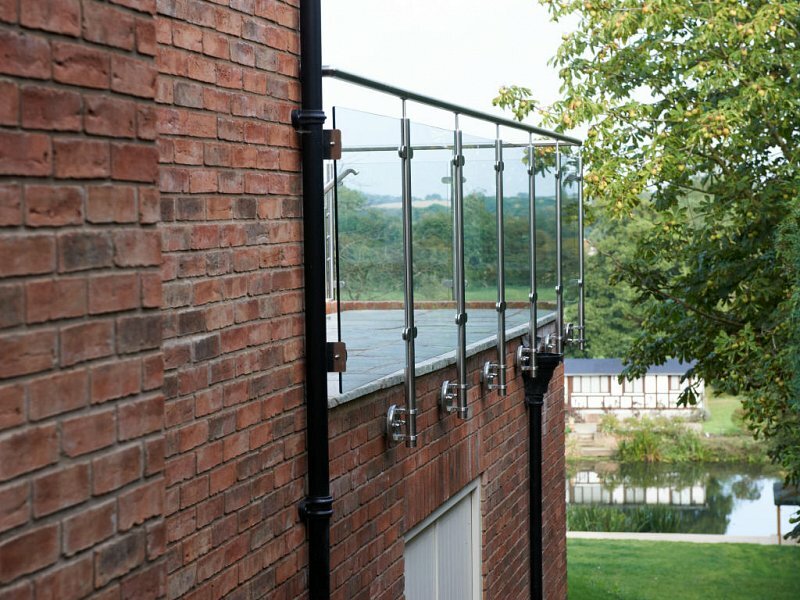 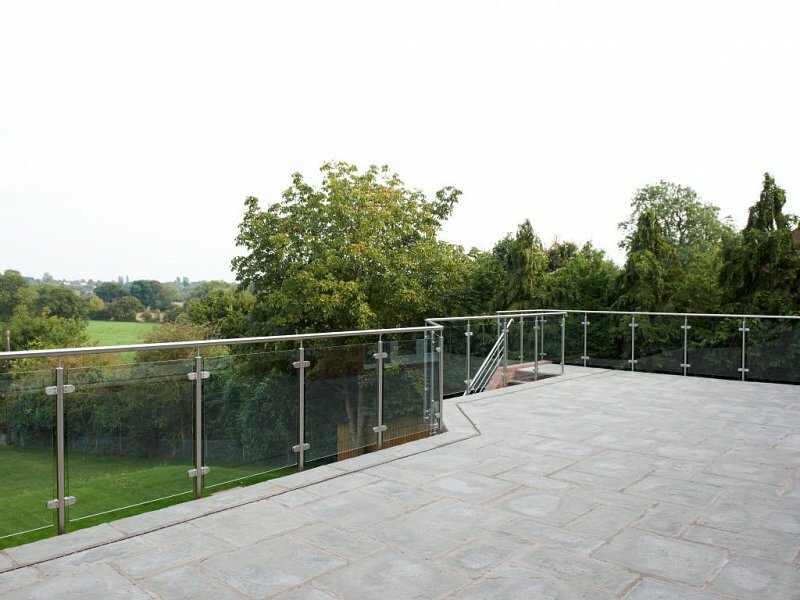 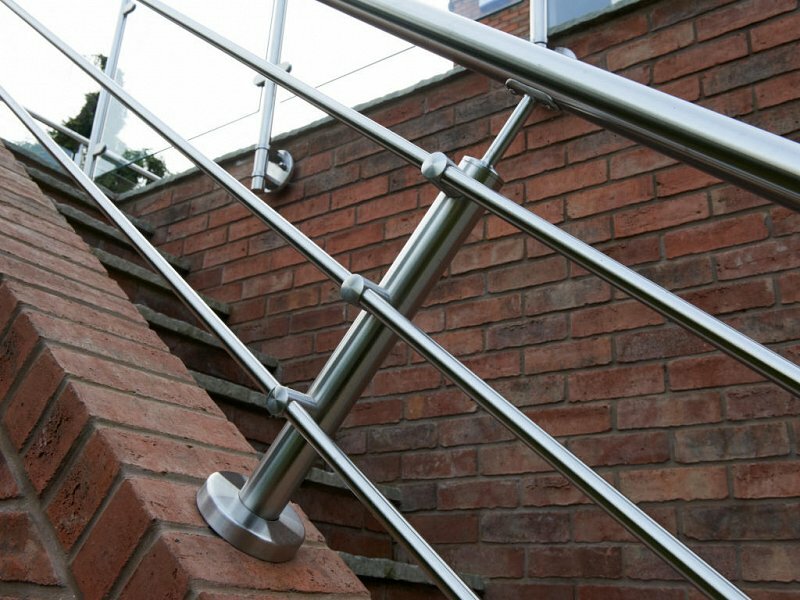 All design and construction of the balustrades took place at the Riteweld Engineering’s Banbury Branch. 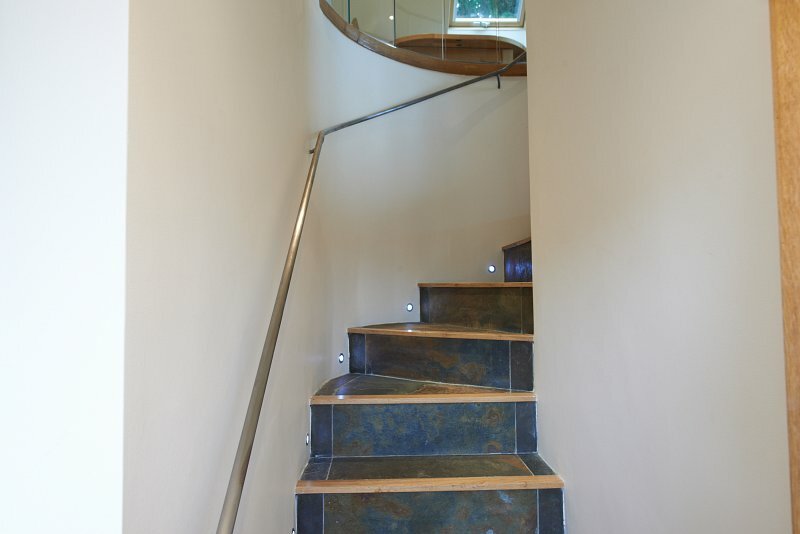 Riteweld Engineering was commissioned by the client to design a stair solution in a garage conversion to holiday lets. 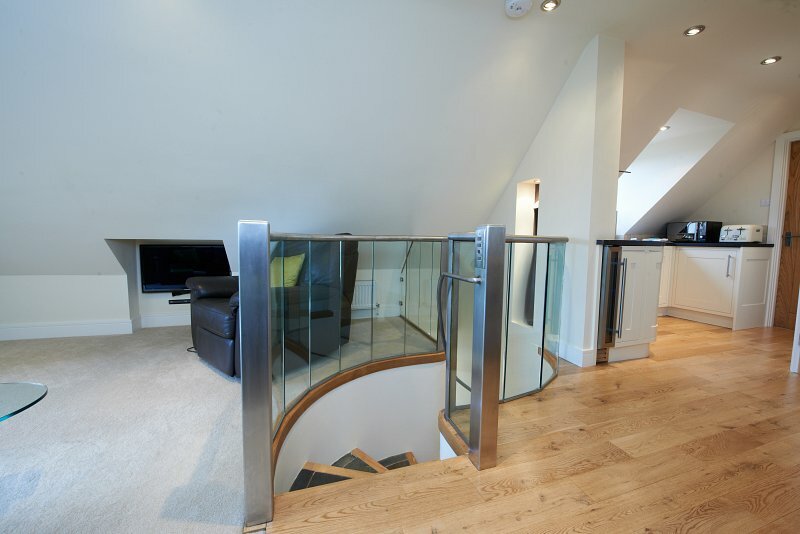 Space was at a premium! 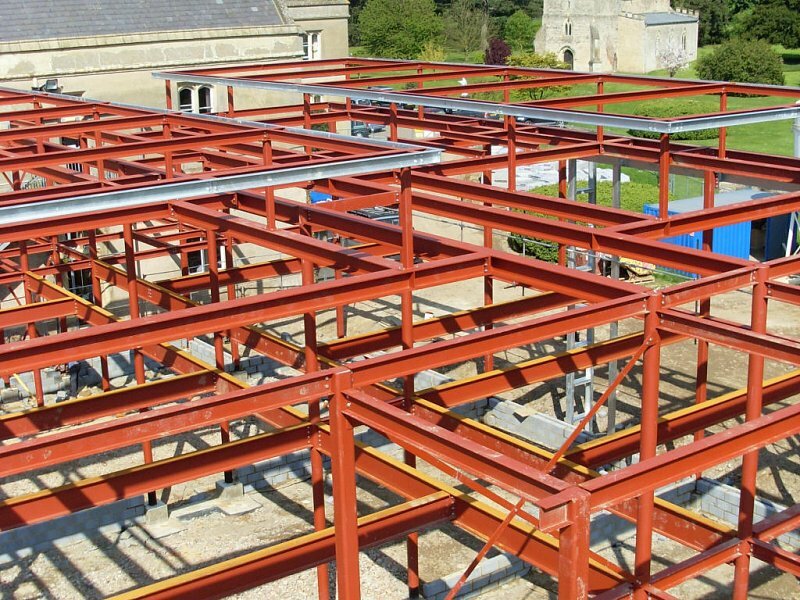 Riteweld Engineering’s space-saving solution consisted of a self-supporting sectional steel liner tray system in-filled with Indian slate and oak nosings. 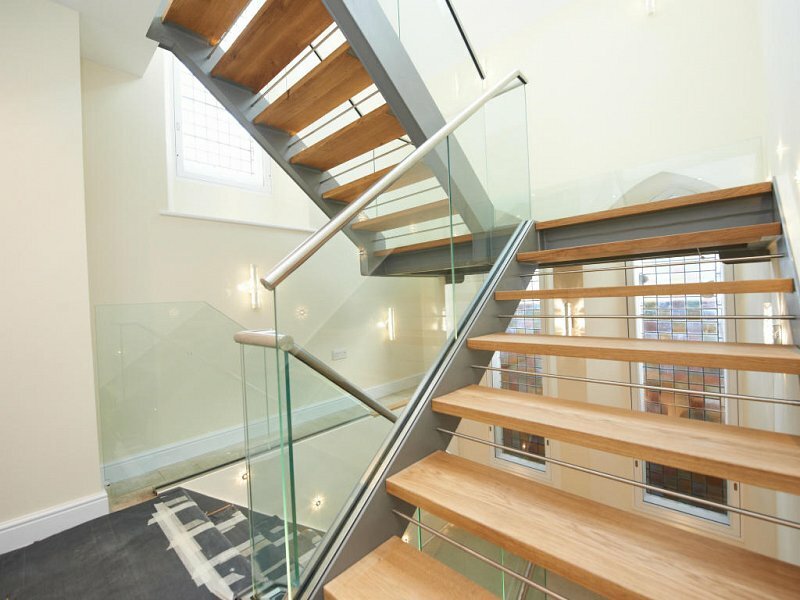 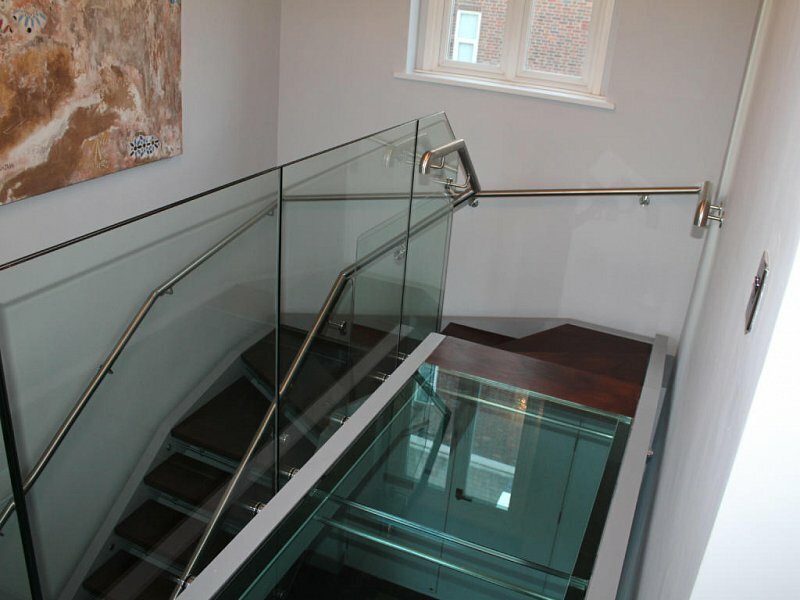 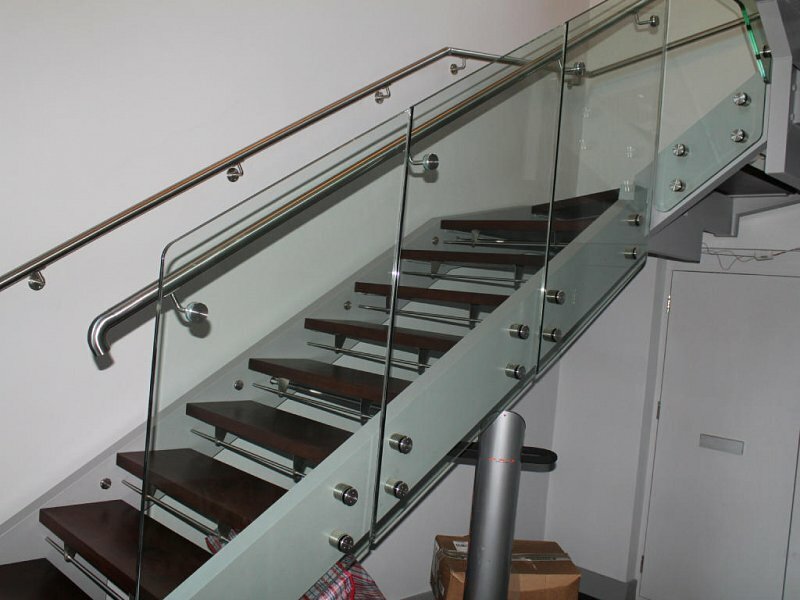 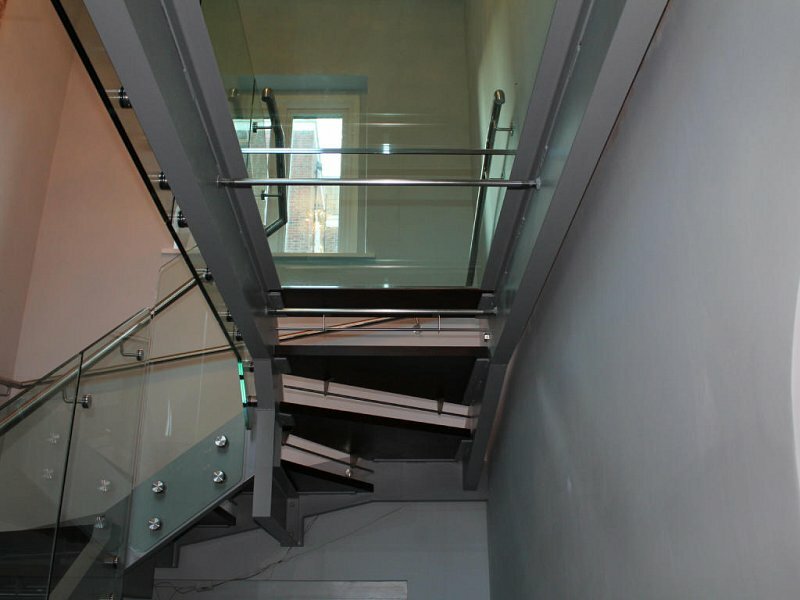 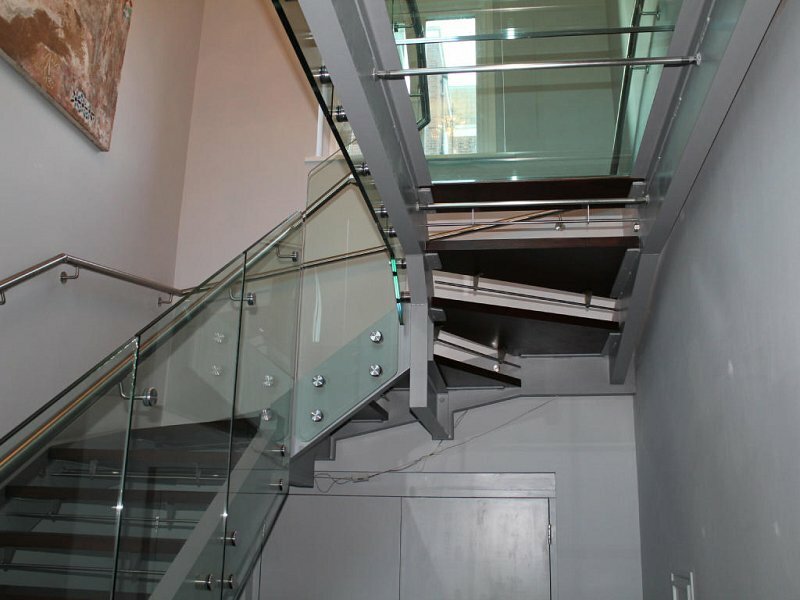 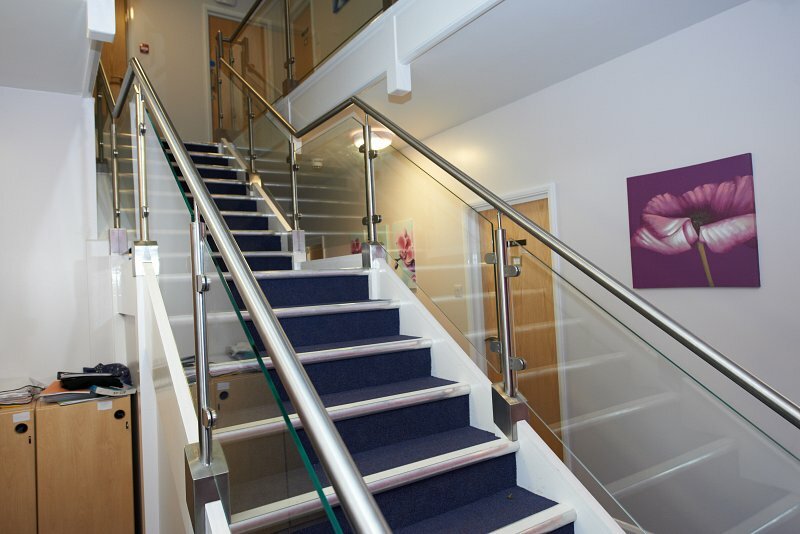 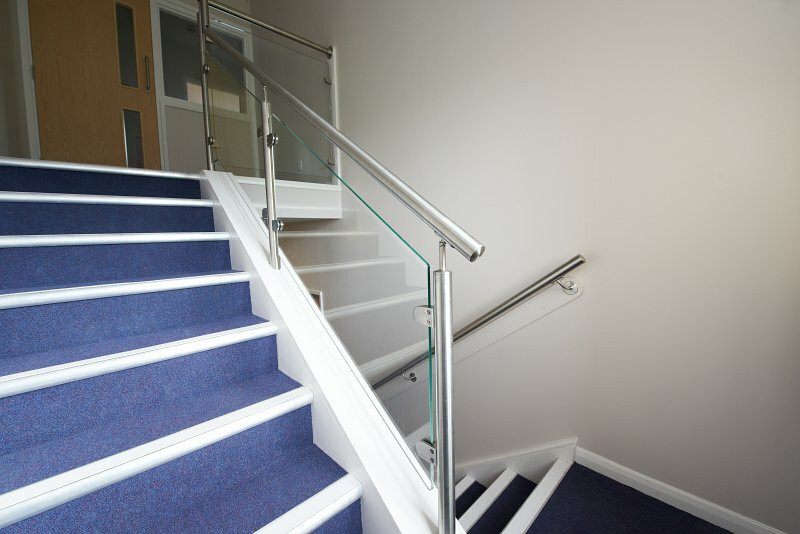 A complementing stainless steel and toughened glass balustrade was also designed for the client, to follow the contour of the stairs with in-built and concealed LED tread lighting. 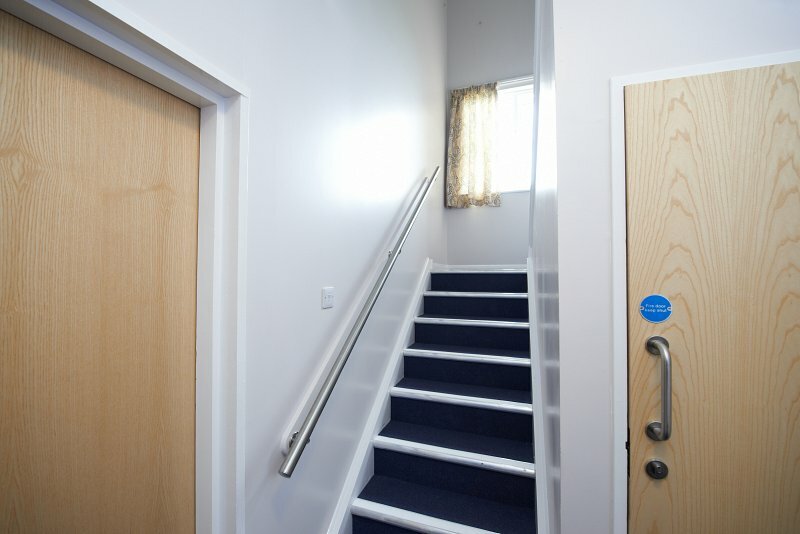 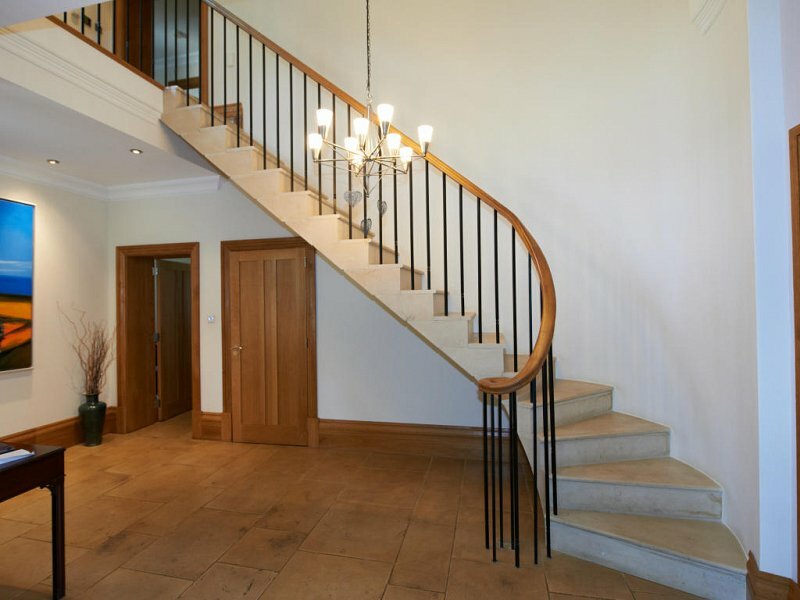 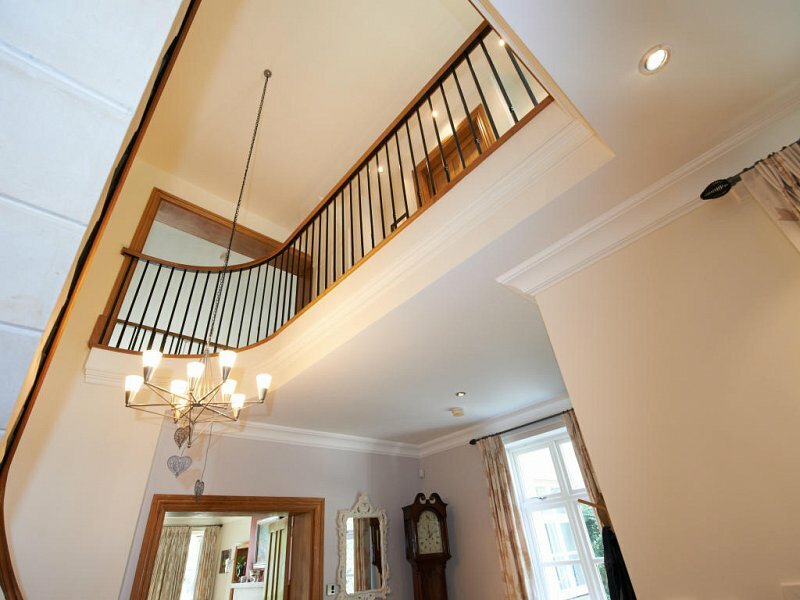 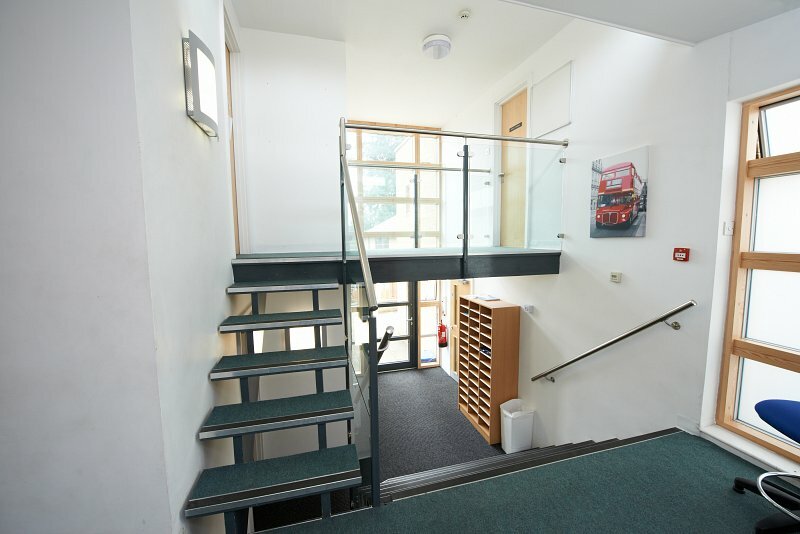 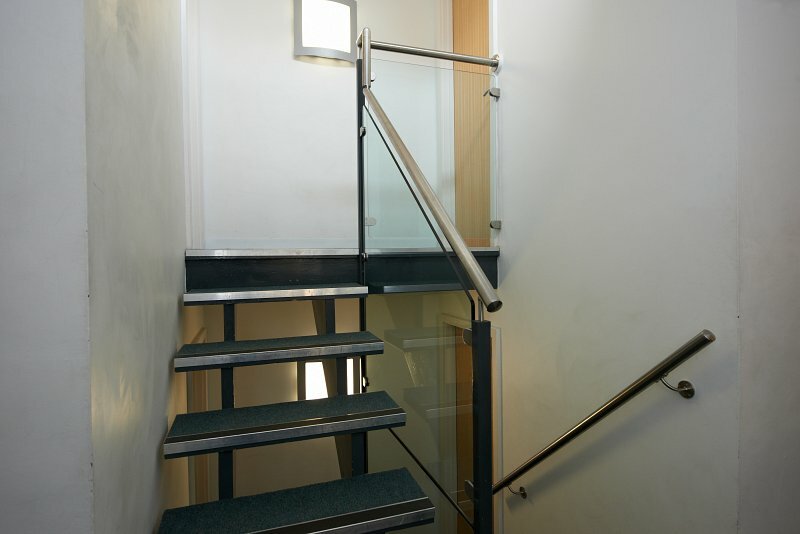 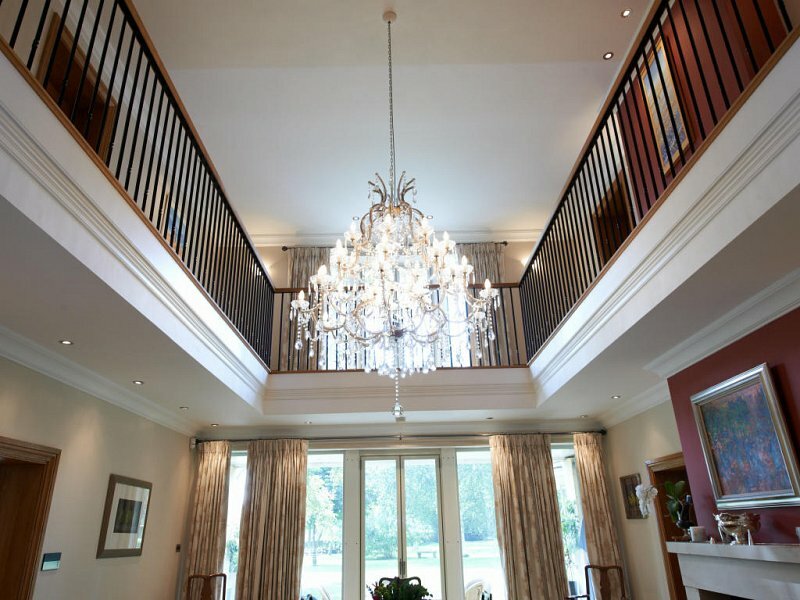 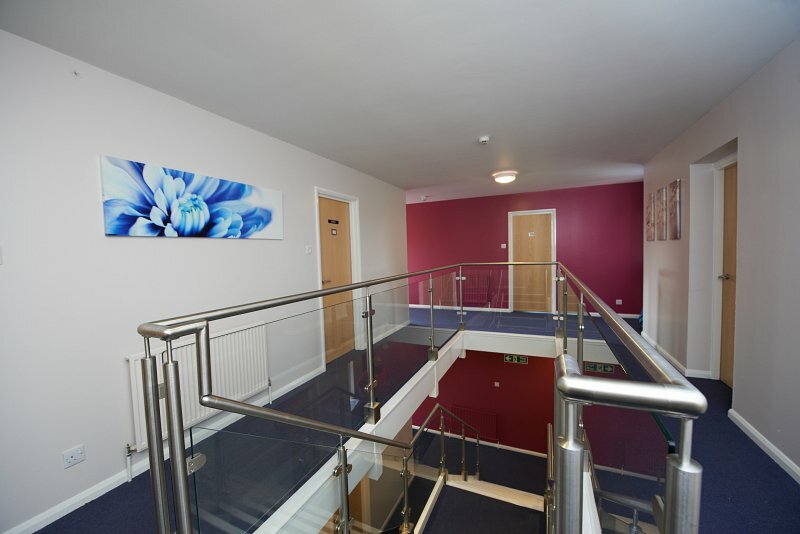 A re-model of an existing building with a contemporary feel required a staircase to match its appearance while keeping the confined space light and airy. 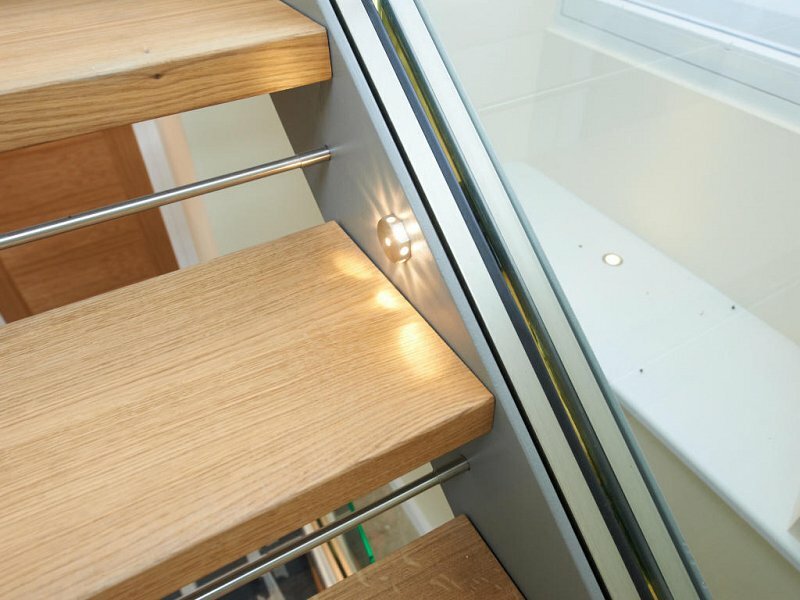 Through the use of a toughened and laminated glass floor and glass balustrade mounted via slab nose fixings, the flow of light was un-interrupted. 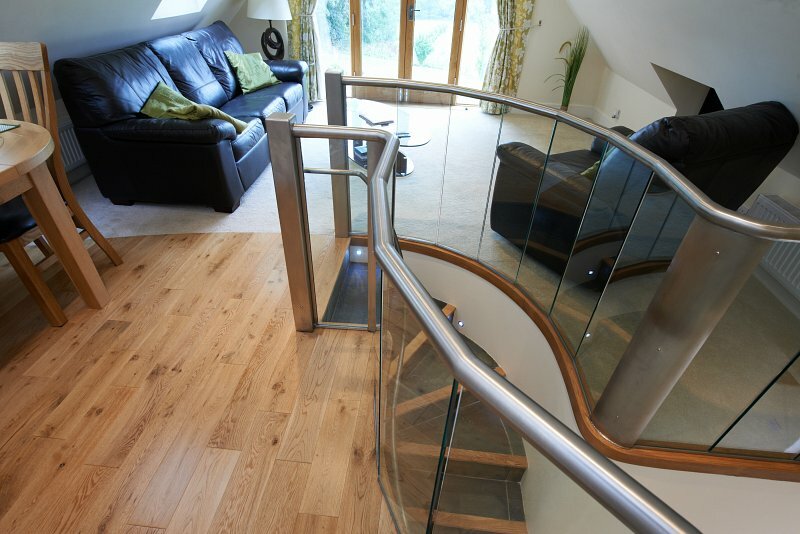 Contrasting dark- oiled oak was fitted to the treads. 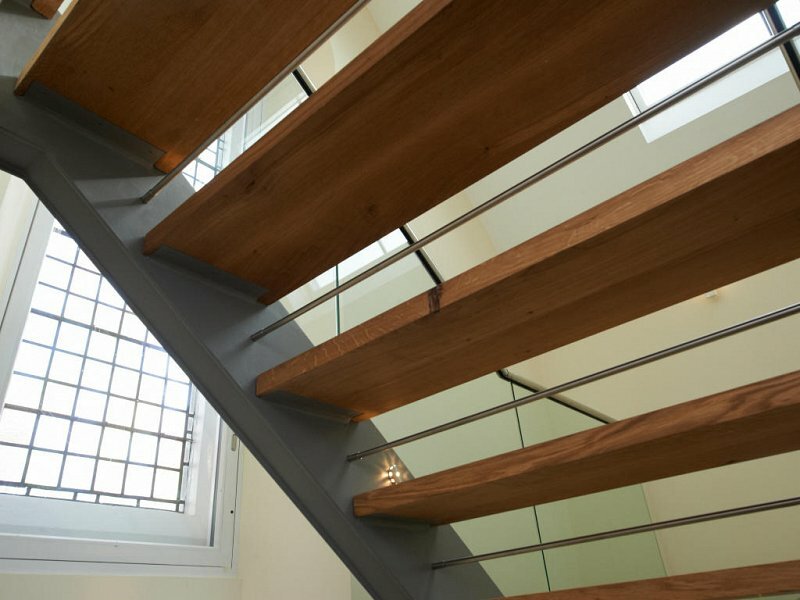 Riteweld Engineering’s experienced designers and installers are fully capable of providing the complete solution of timber and glass metal products. 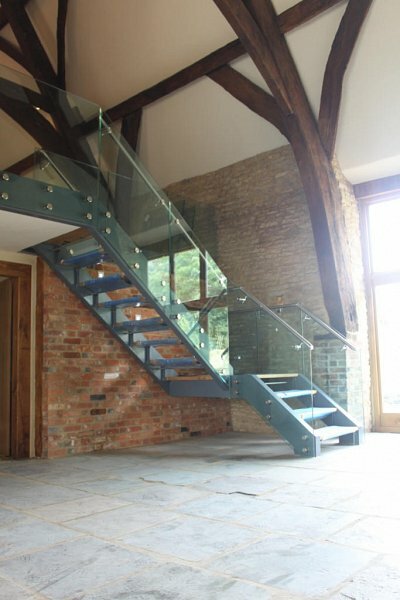 Old barns are commonly converted into living spaces; the use of contemporary designs mixed with the old creates a modern twist. 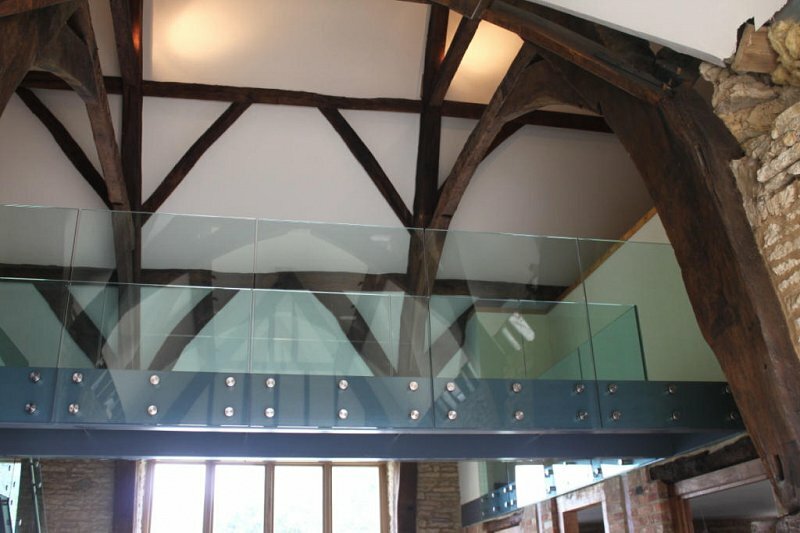 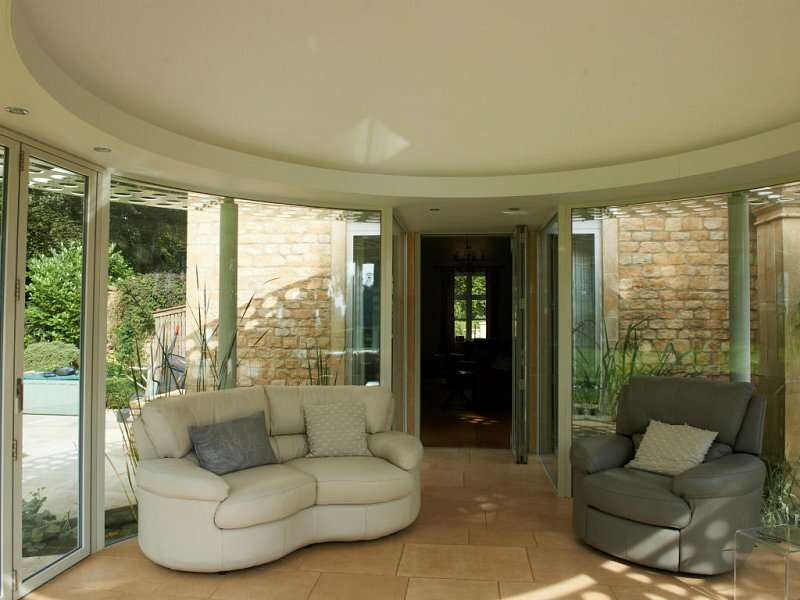 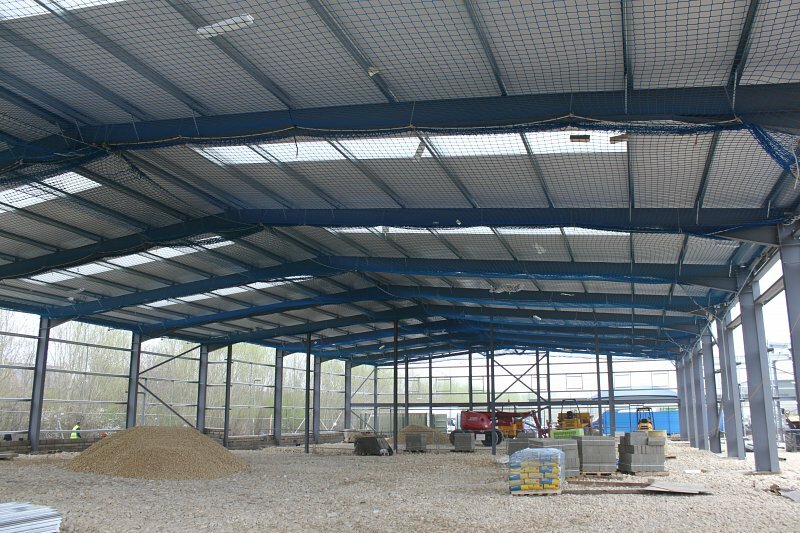 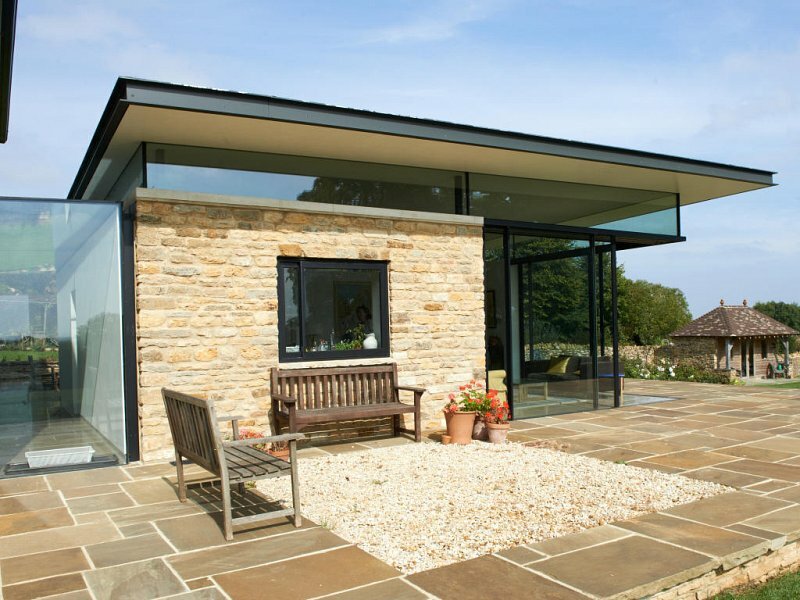 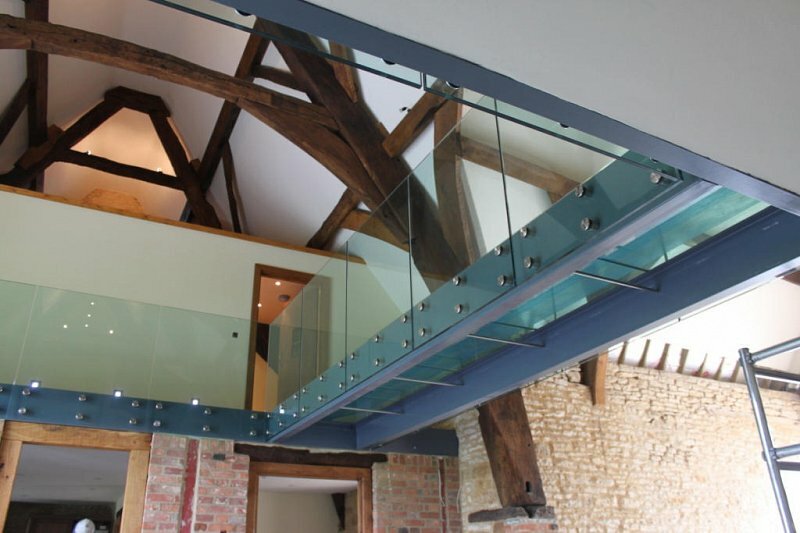 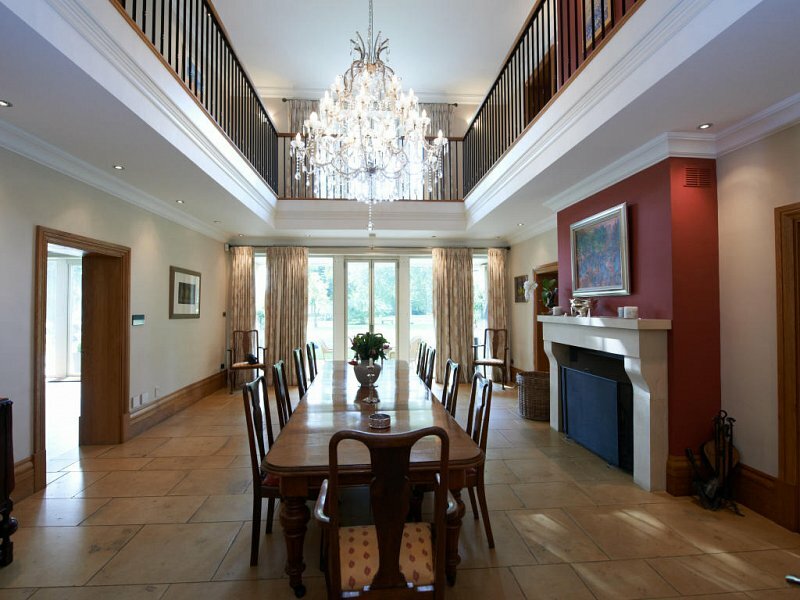 This project consisted of a freestanding mezzanine floor structure within the existing stone walls. 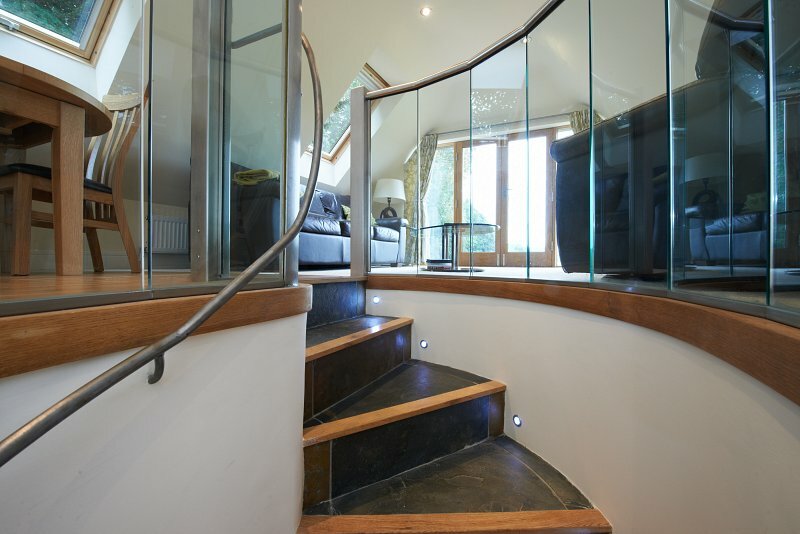 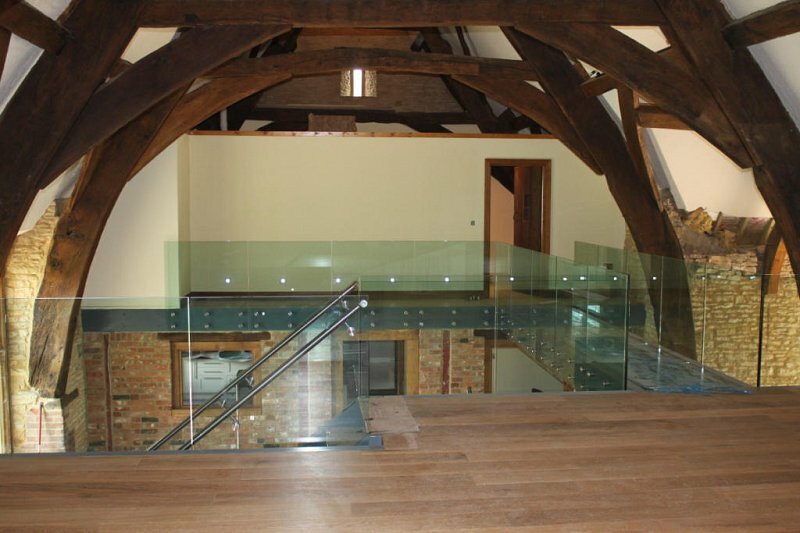 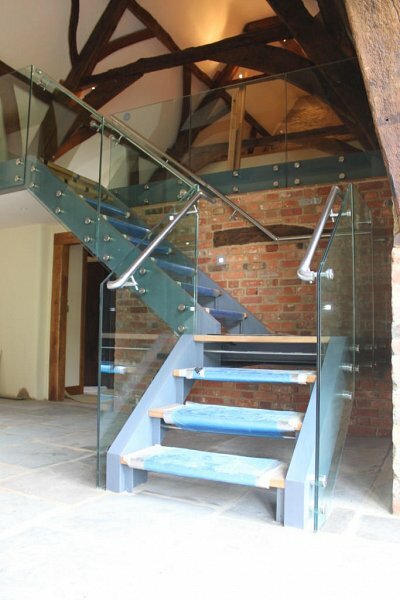 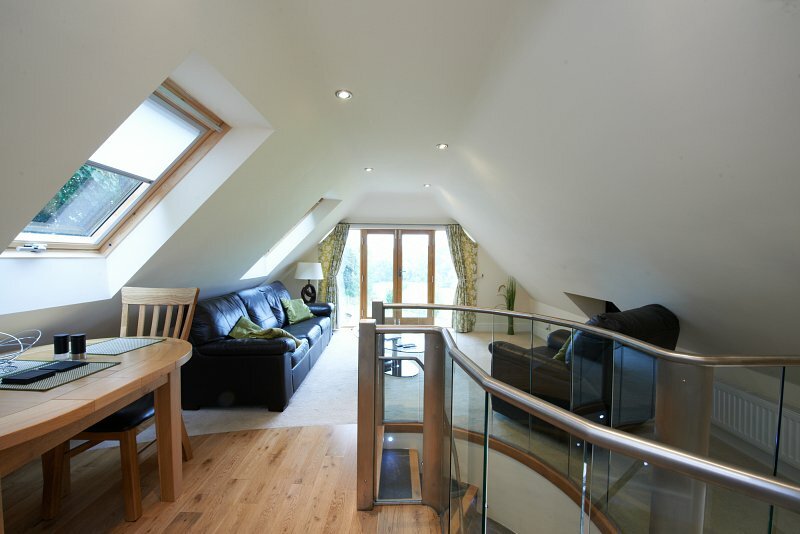 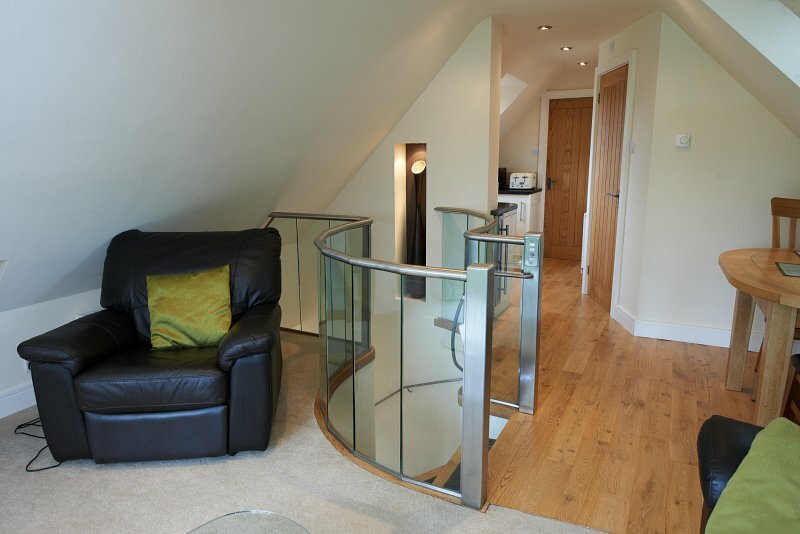 Access to the floor was gained via stairs constructed with box section stringers, oak treads and glass risers. 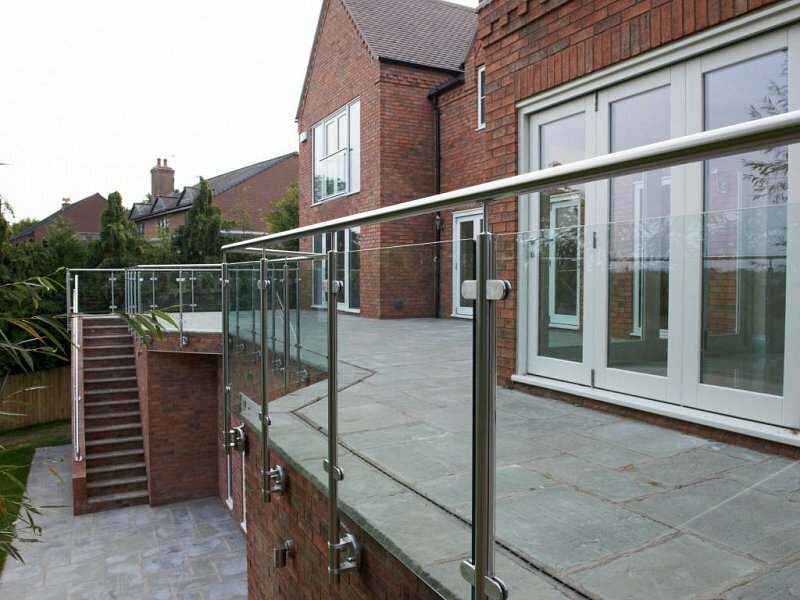 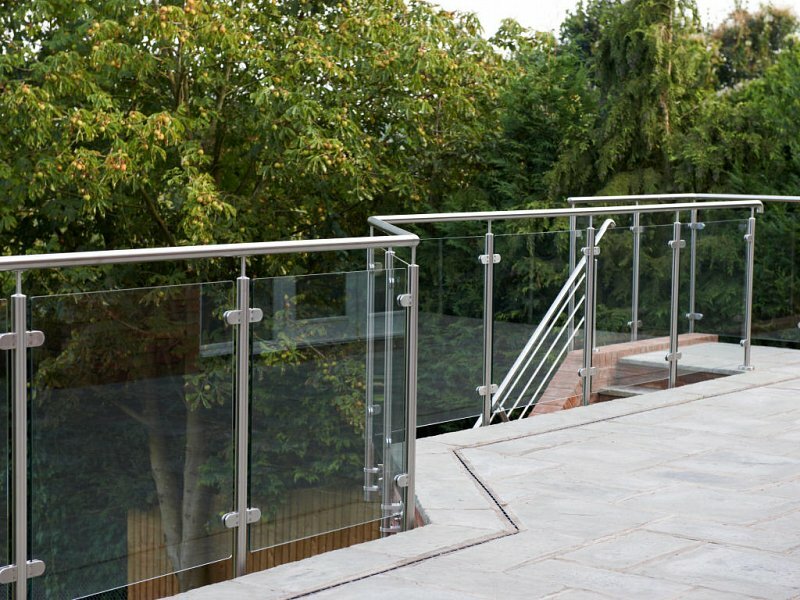 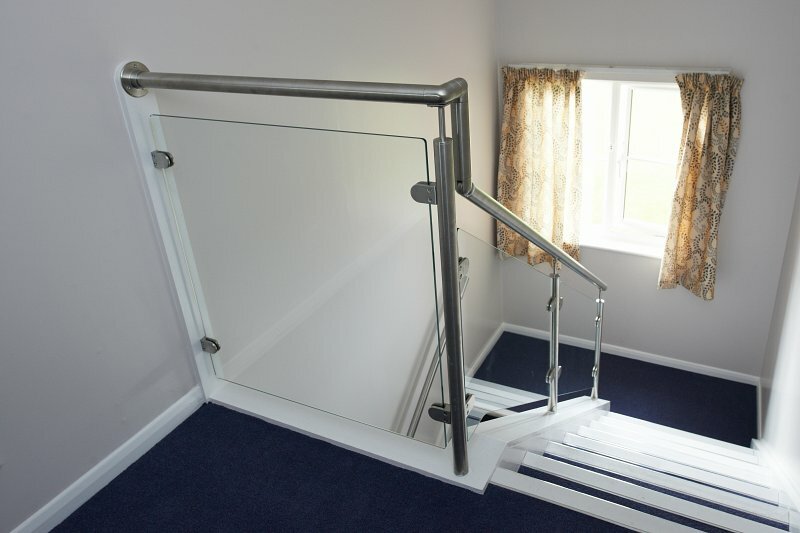 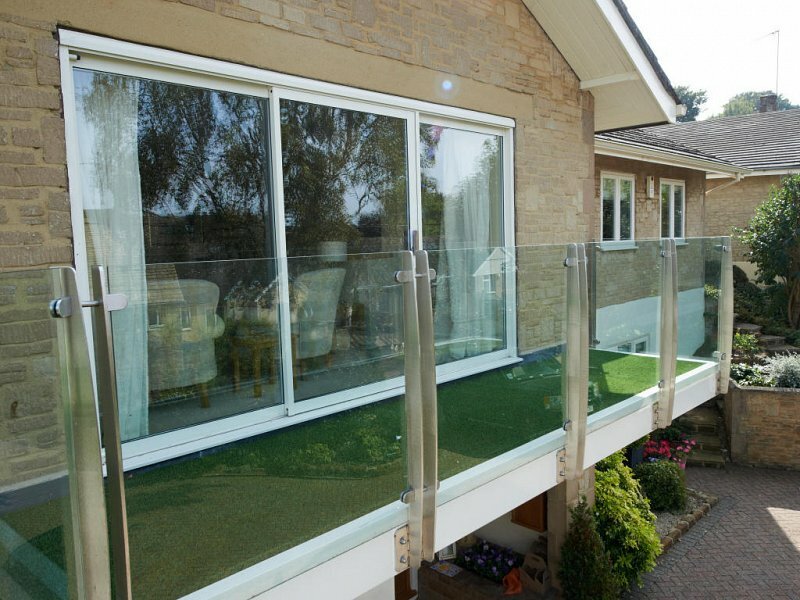 Toughened and laminated glass balustrade with a side mounted stainless steel handrail was fixed to the support steel via slab nose fixings. 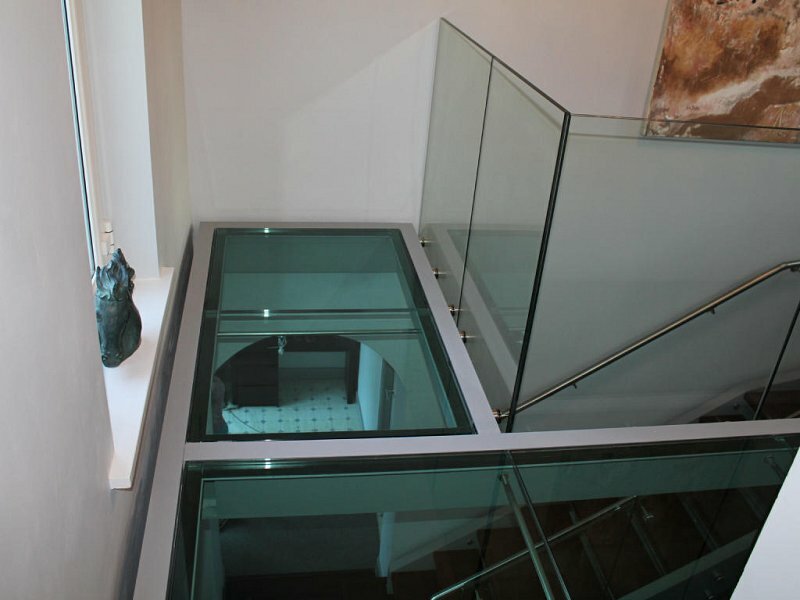 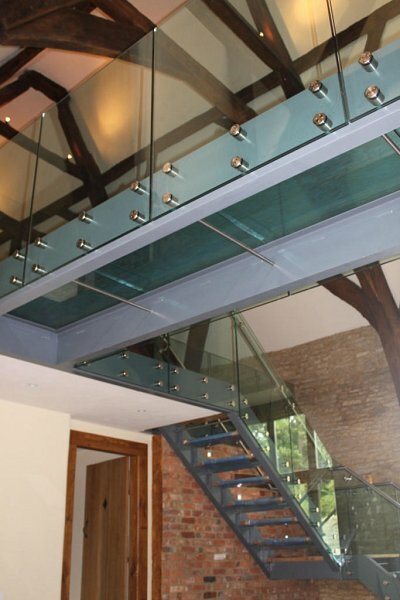 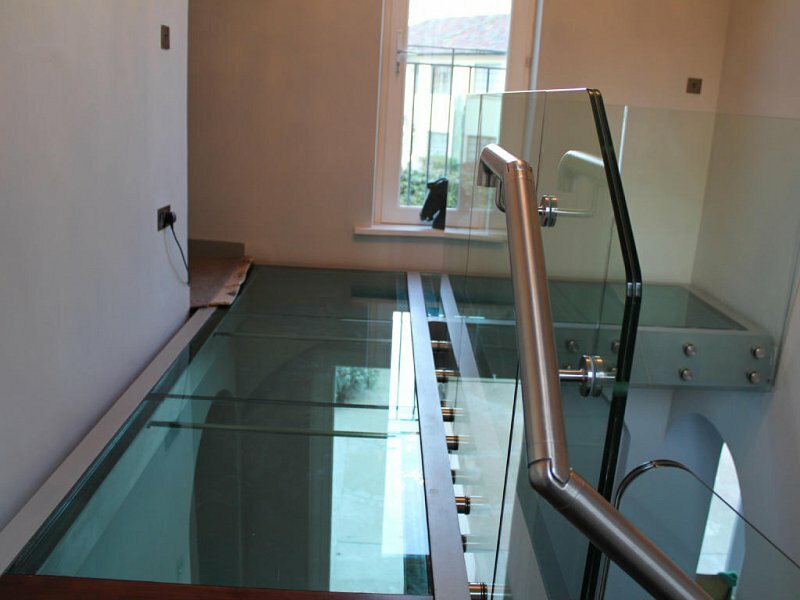 A bridge with a 39mm triple laminated glass floor provided the link between the two upstairs living areas allowing light from above to filter through. 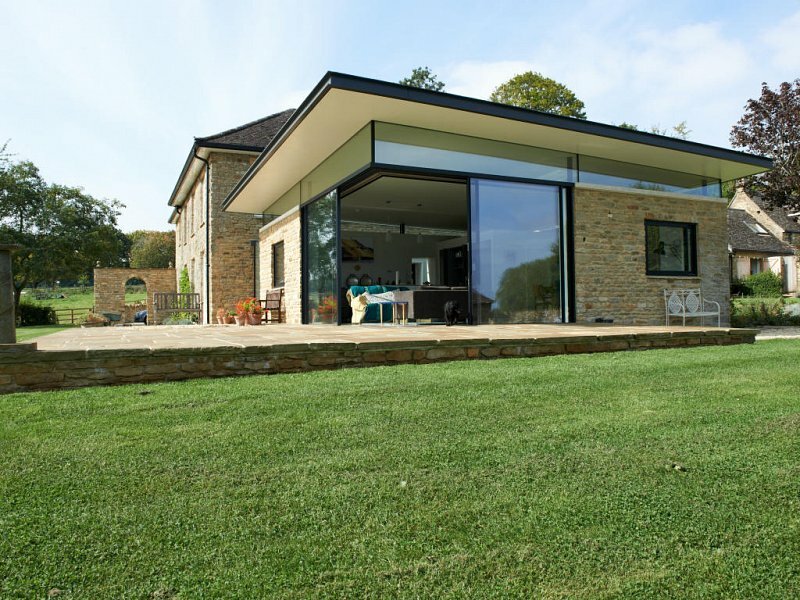 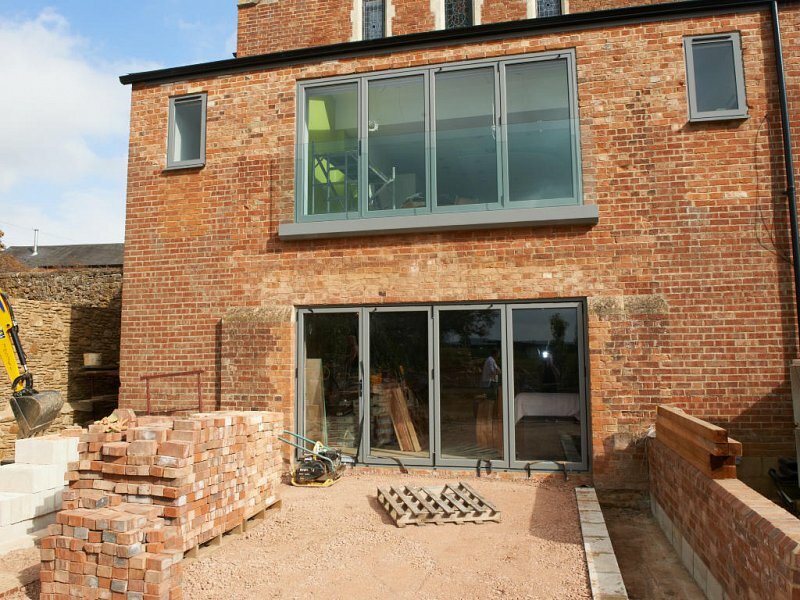 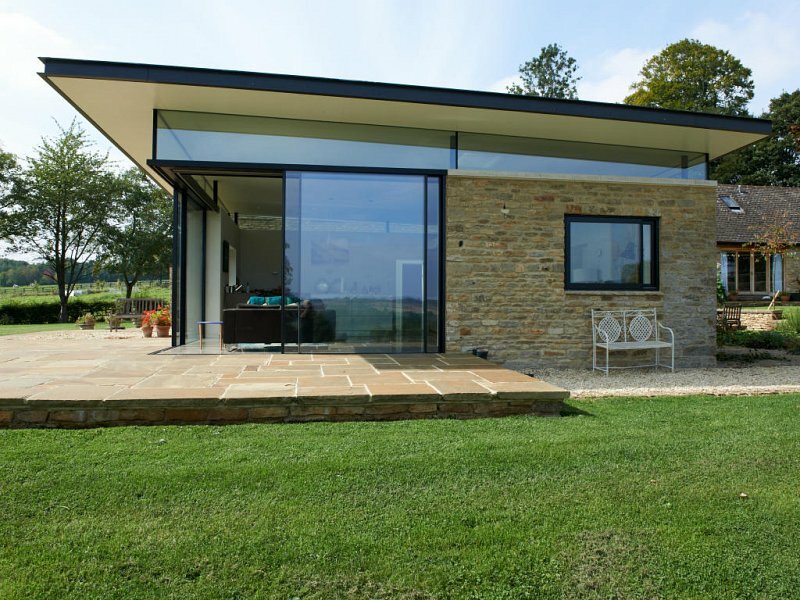 Riteweld Engineering was pleased to be involved in the development of this new-build property with a large outdoor patio, including rooms with stunning views of the River Avon. 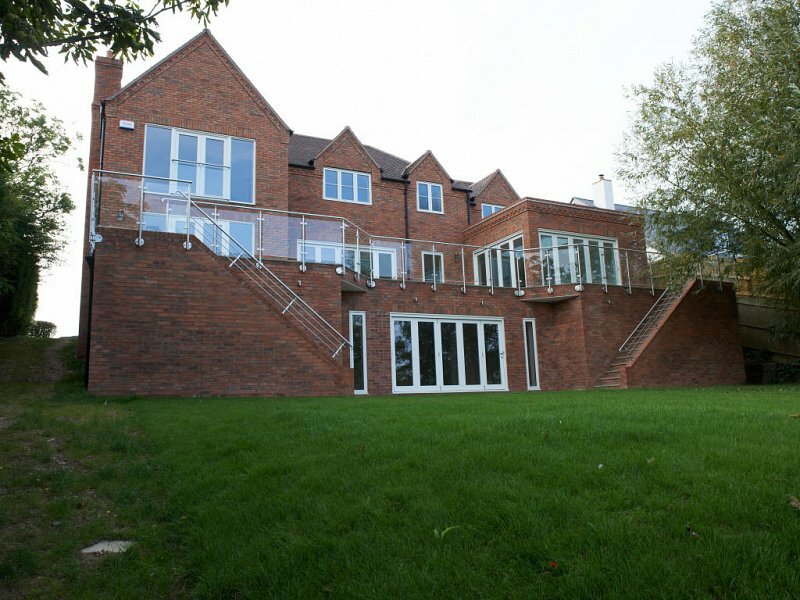 It was the third time in succession that we had been approached and utilised by the property developer who on this occasion, required us to design and provide a balustrade and Juliet balcony package in keeping with the maritime surroundings. 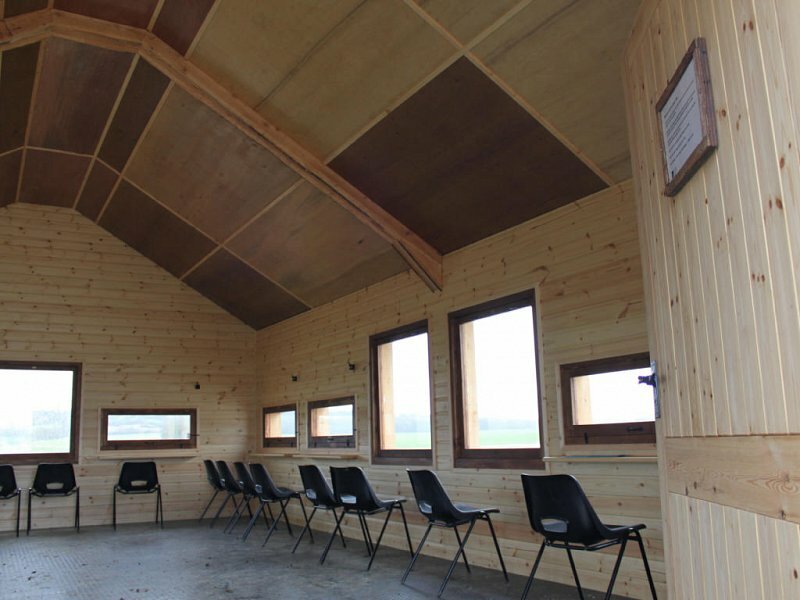 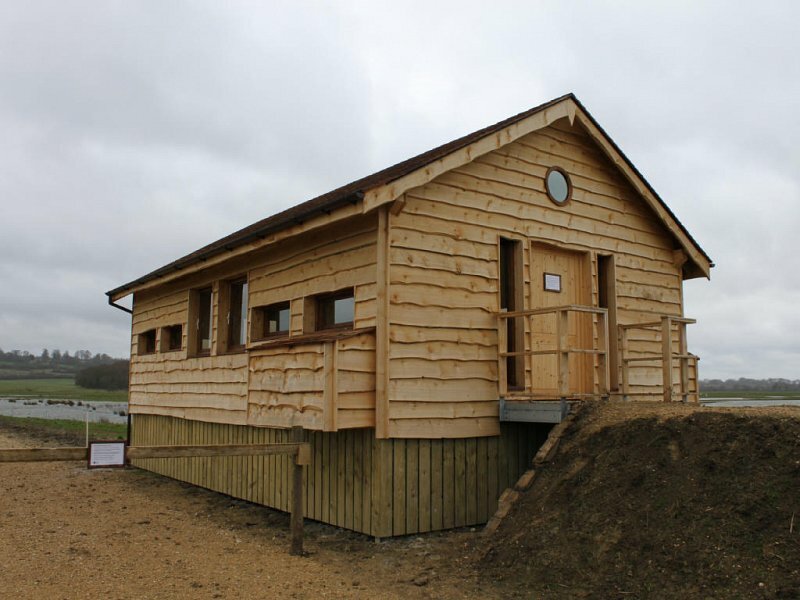 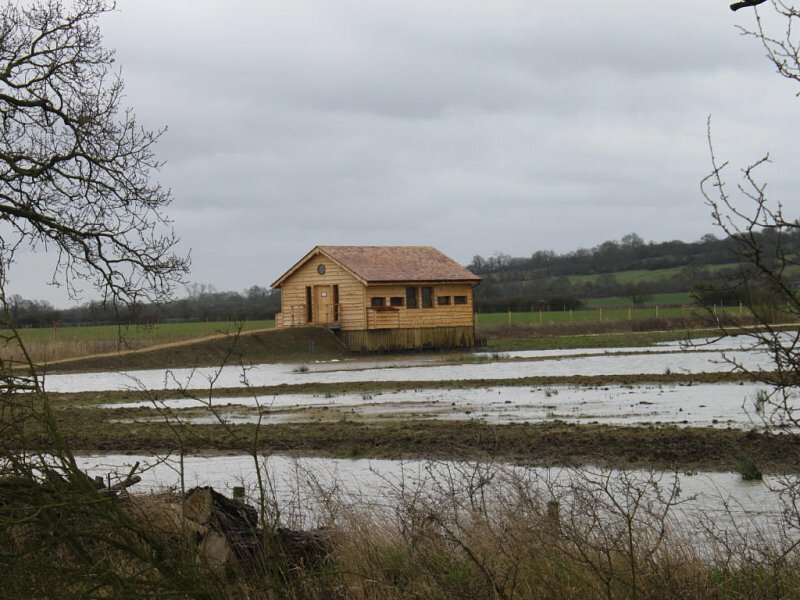 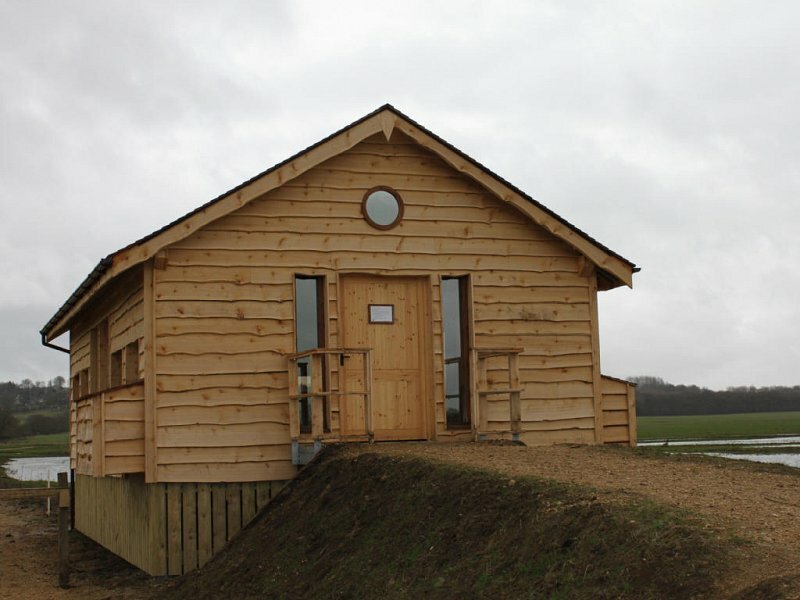 The RSPB operate many sites around the UK; Riteweld Engineering is happy to have built a working relationship with the society constructing wildlife viewing shelters across many wetlands. 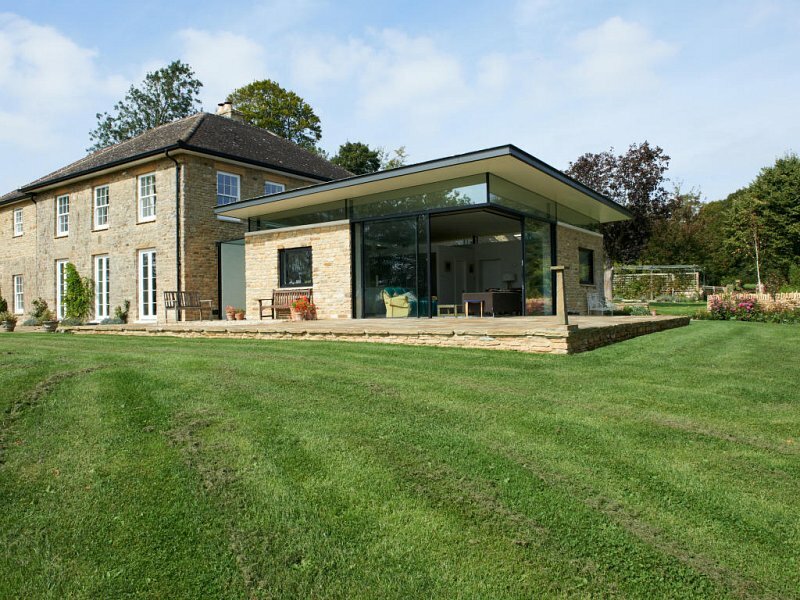 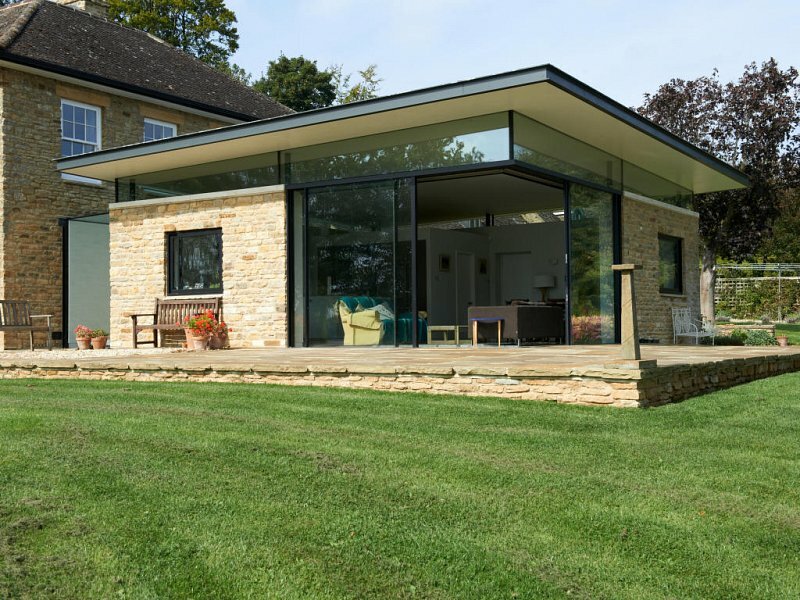 Riteweld Engineering was please to be involved in this contemporary extension of an existing manor house, designed to provide additional living space for the clients. 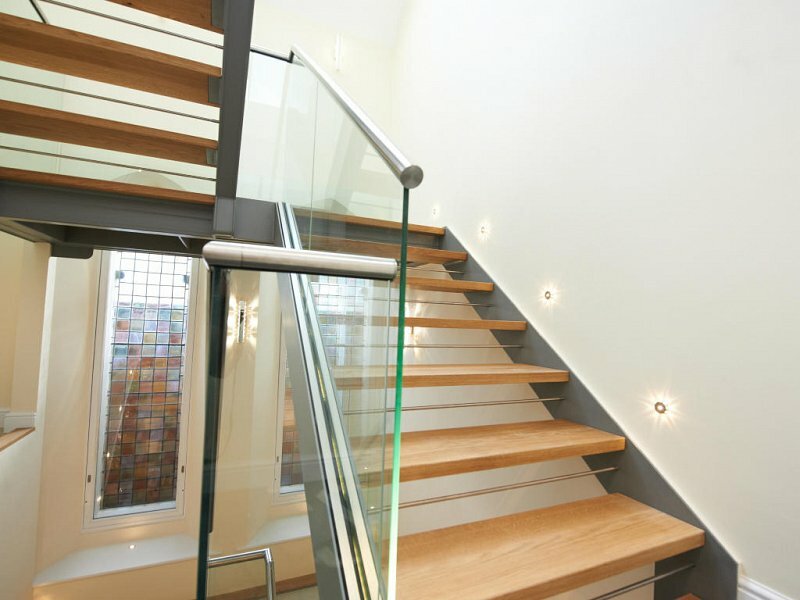 A glass light-well provides natural light while segregating the new building from the old. 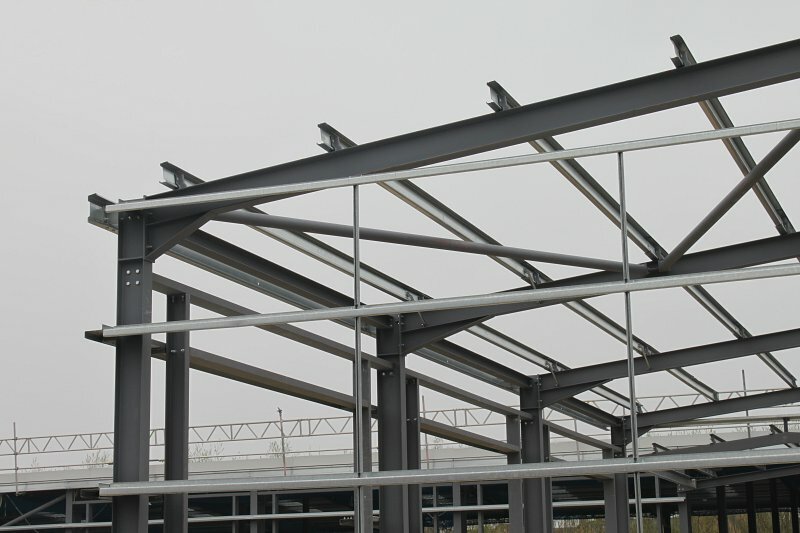 The steel roof structure cantilevers from three walls and were designed to create a floating appearance. 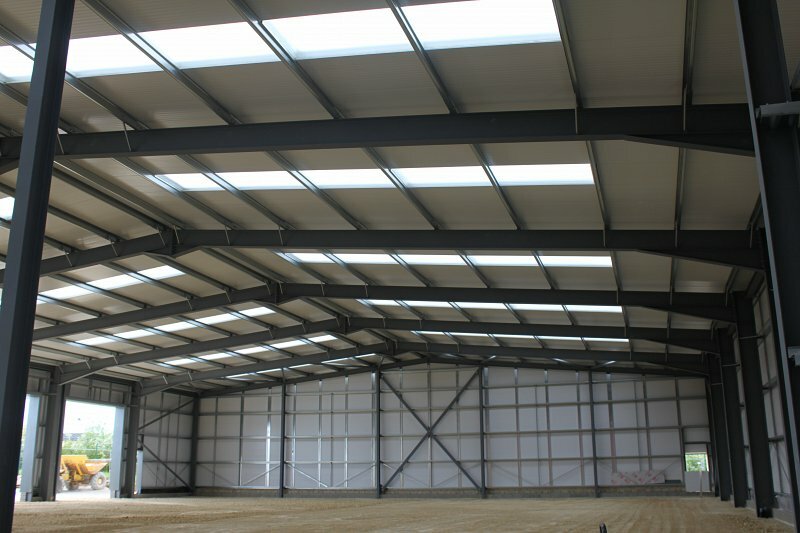 This project is prime example of how Riteweld Engineering can make a seamless link between the interior and exterior environment. 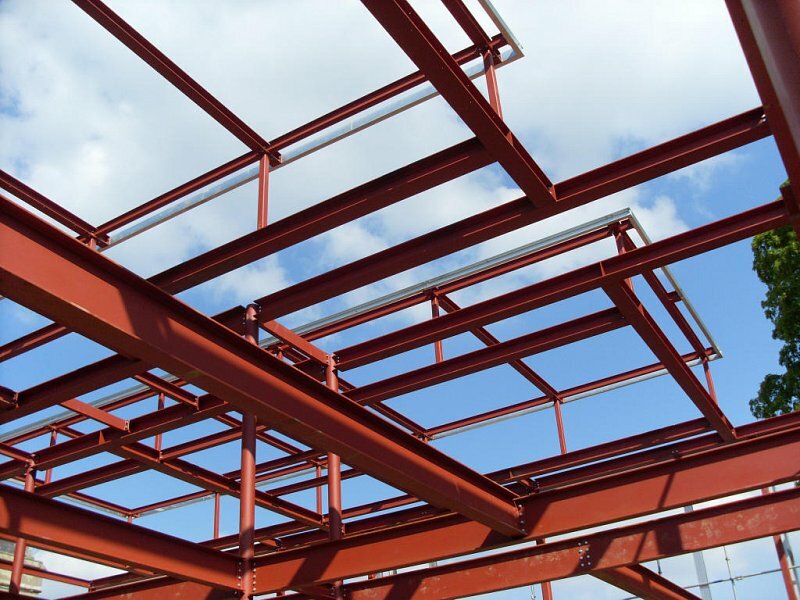 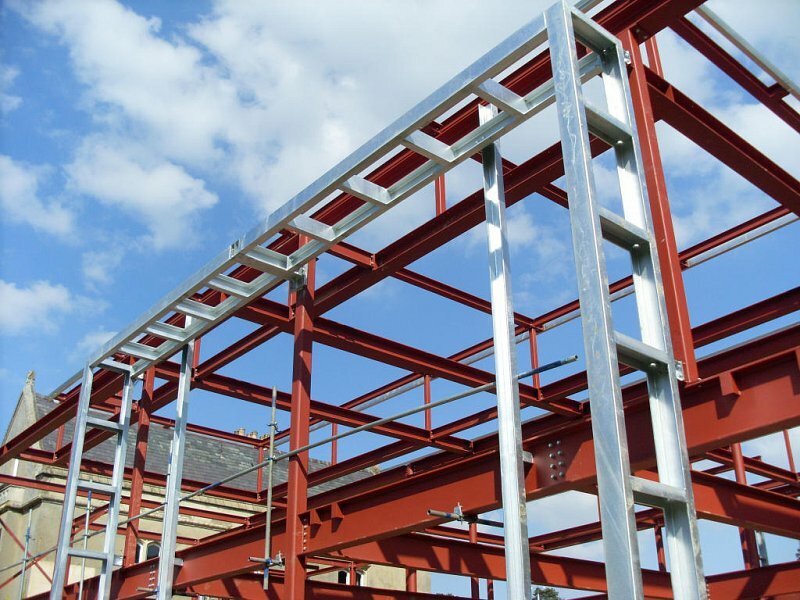 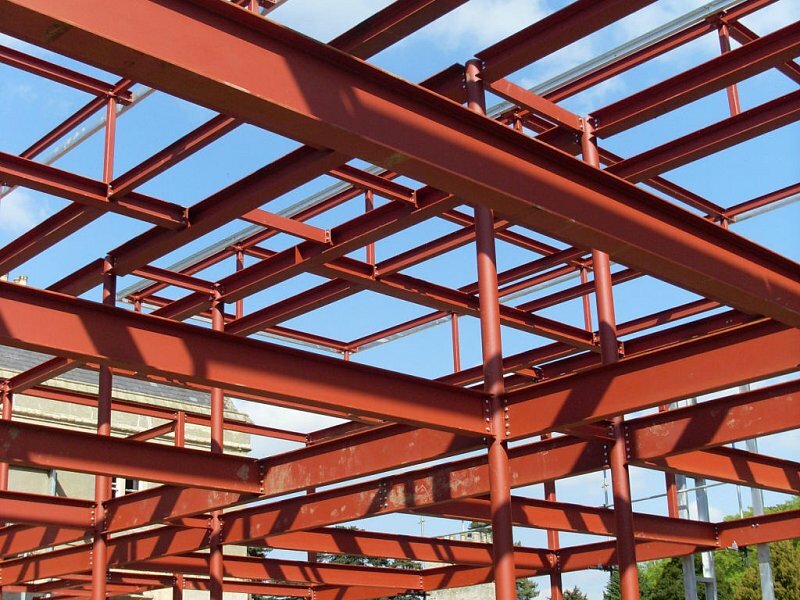 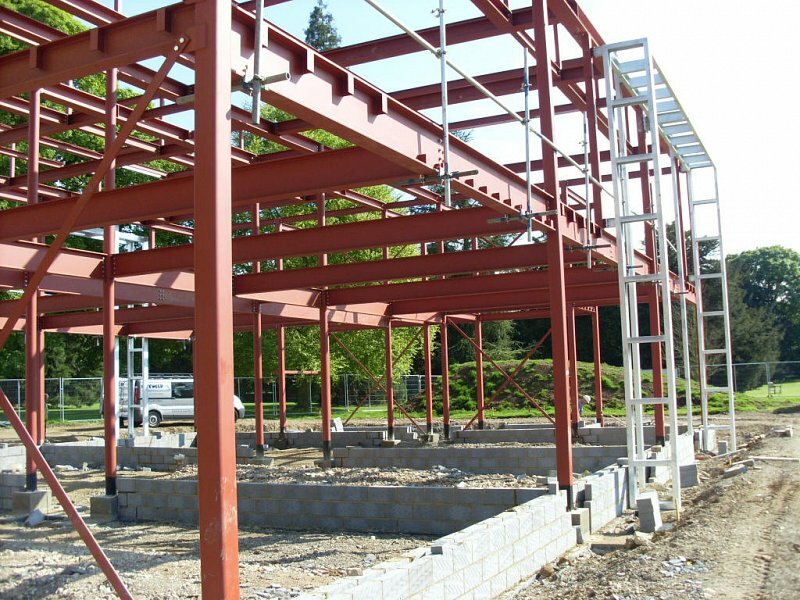 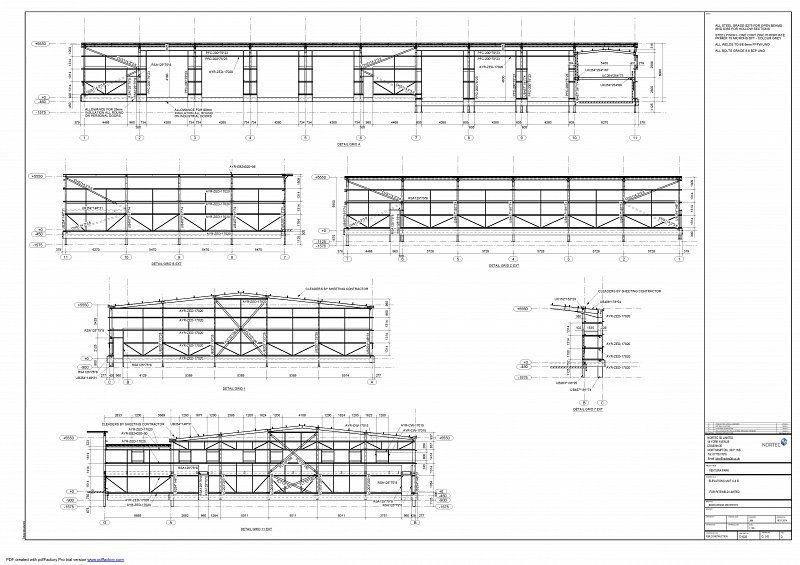 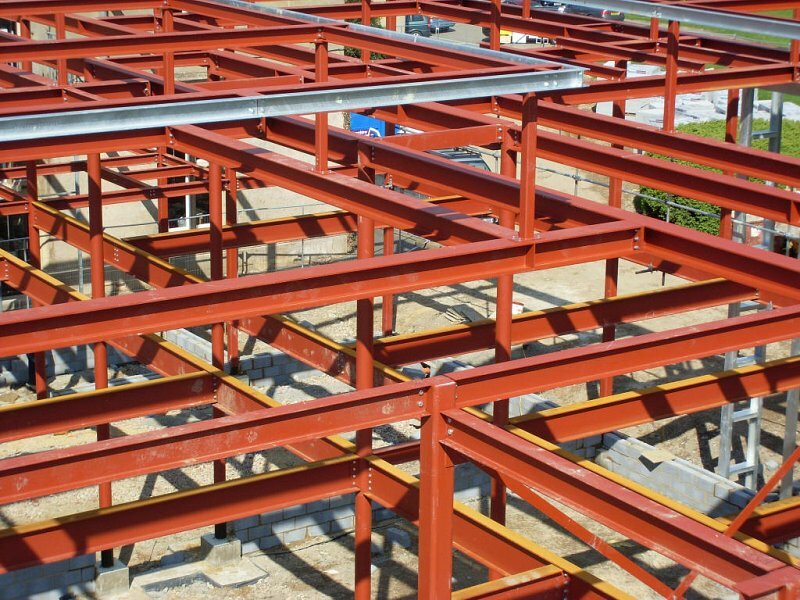 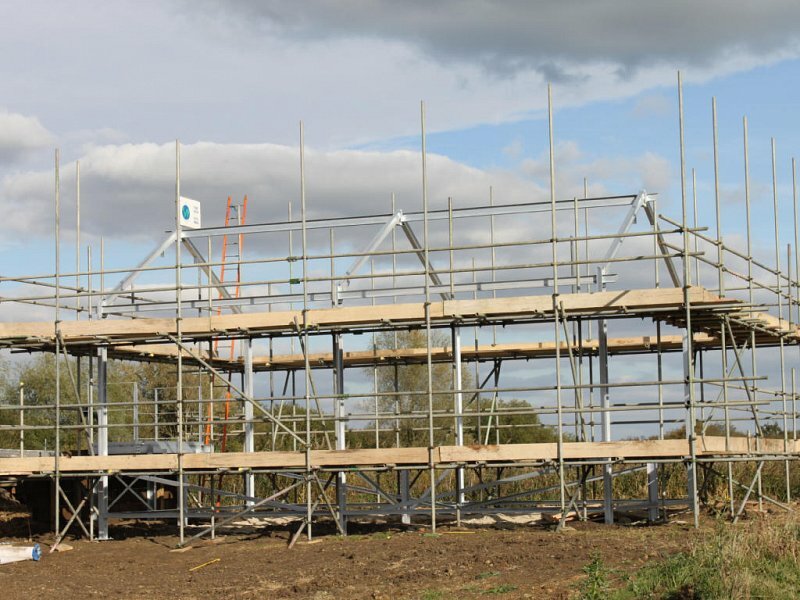 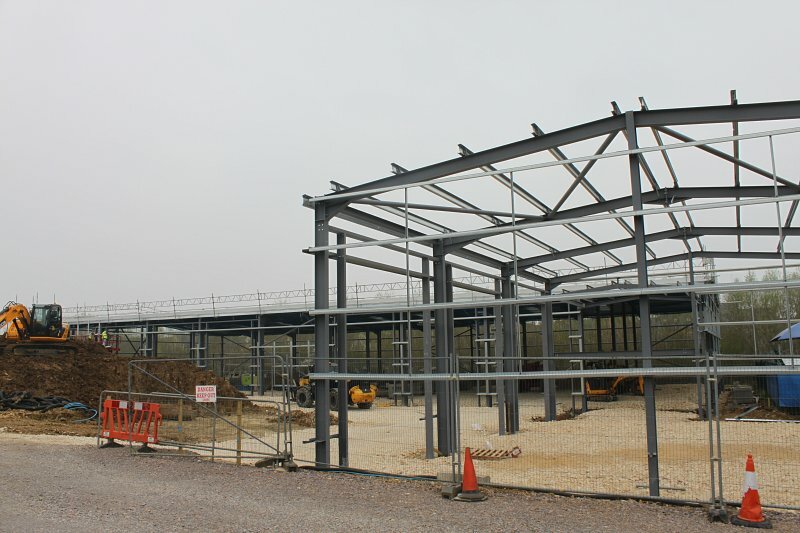 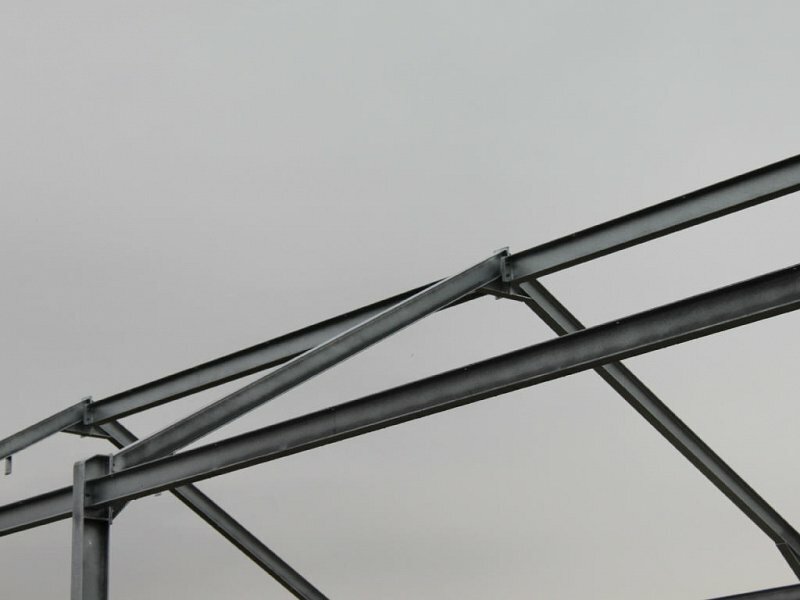 Riteweld Engineering was commissioned by the college to design, fabricate, and erect a structural steel frame consisting of 75 tonnes of hot rolled steel for a new classroom block. 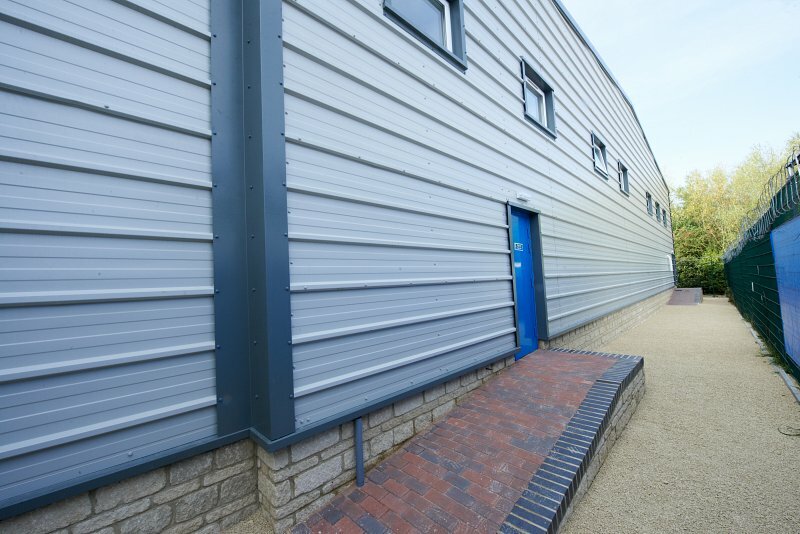 Exposed solar shading elements were galvanised for rust protection. 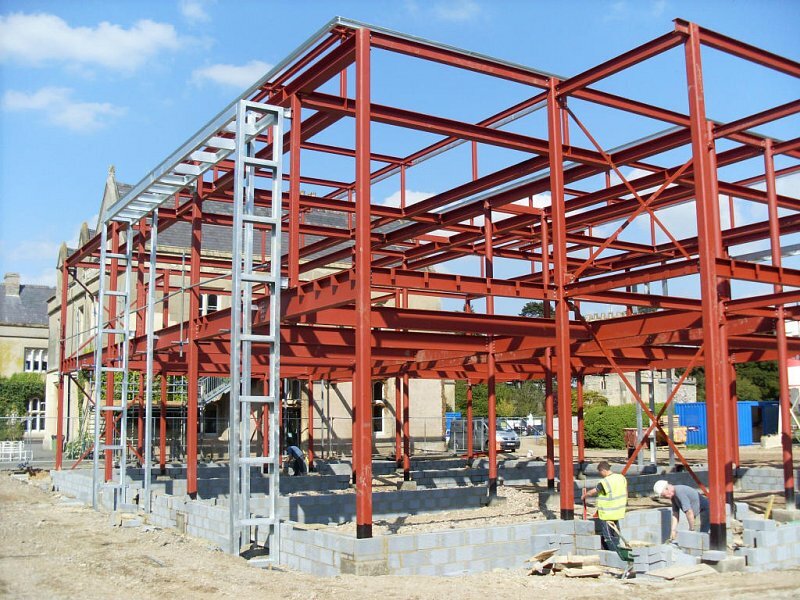 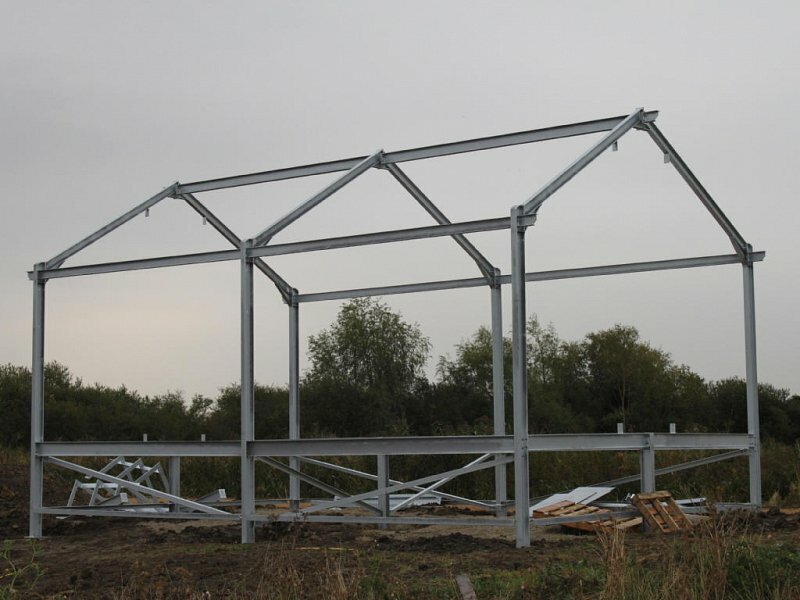 This was a fast track project with the steel being carefully and quickly erected during the school working hours and around the general public. 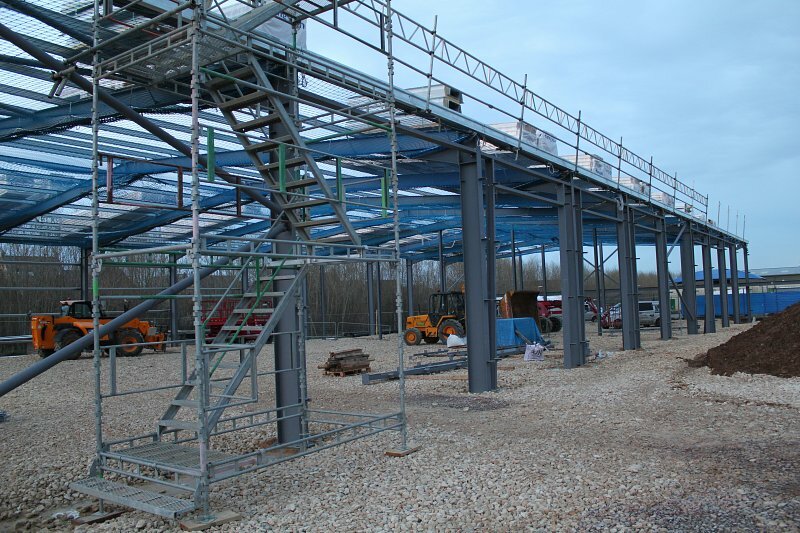 Our erecting sequence was carefully coordinated for health and safety purposes. 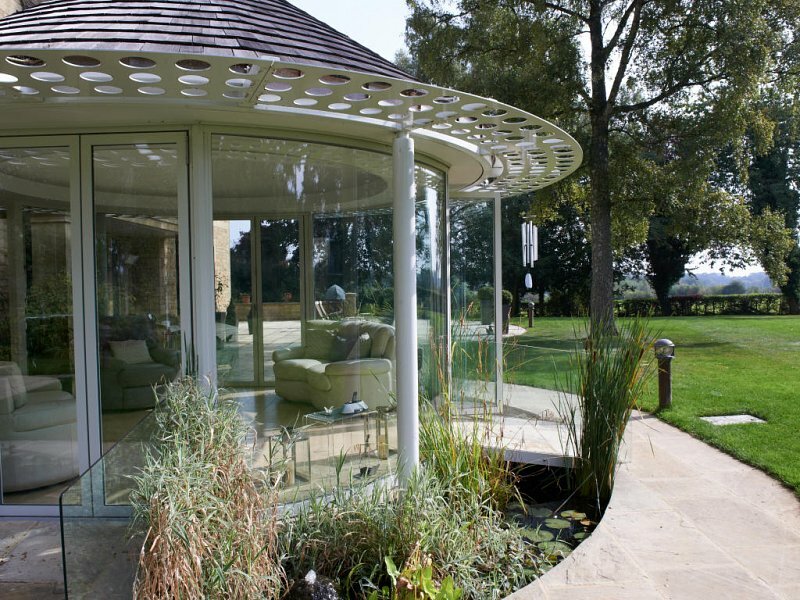 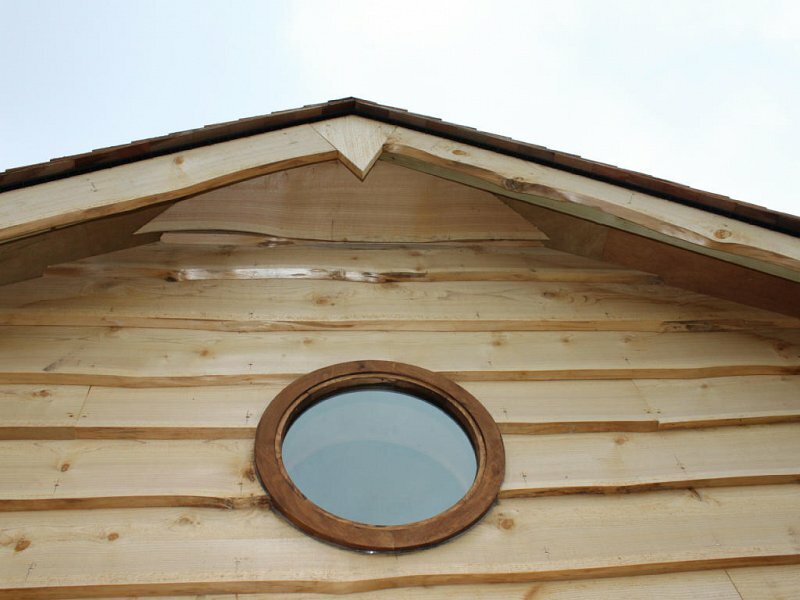 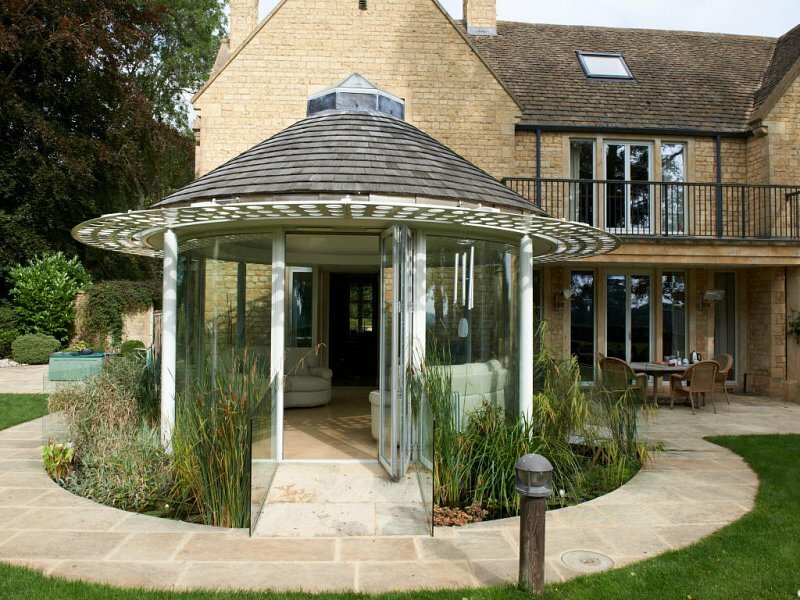 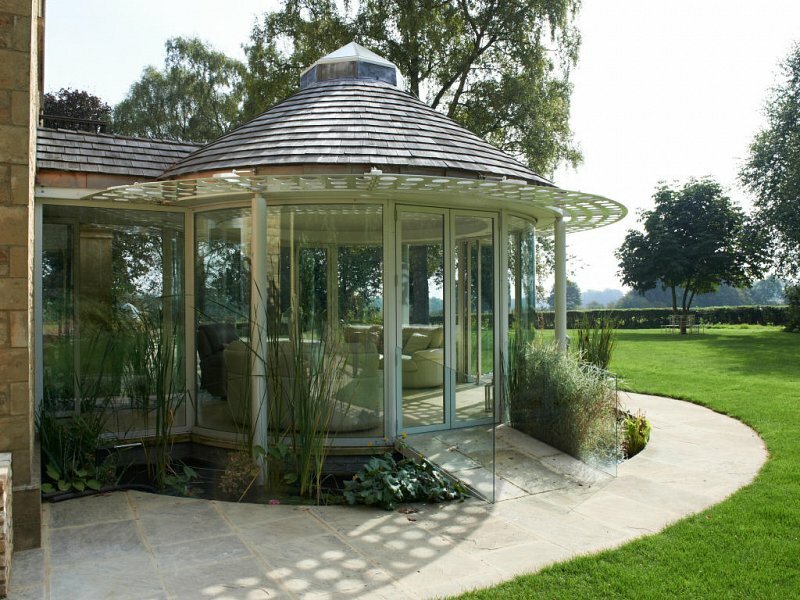 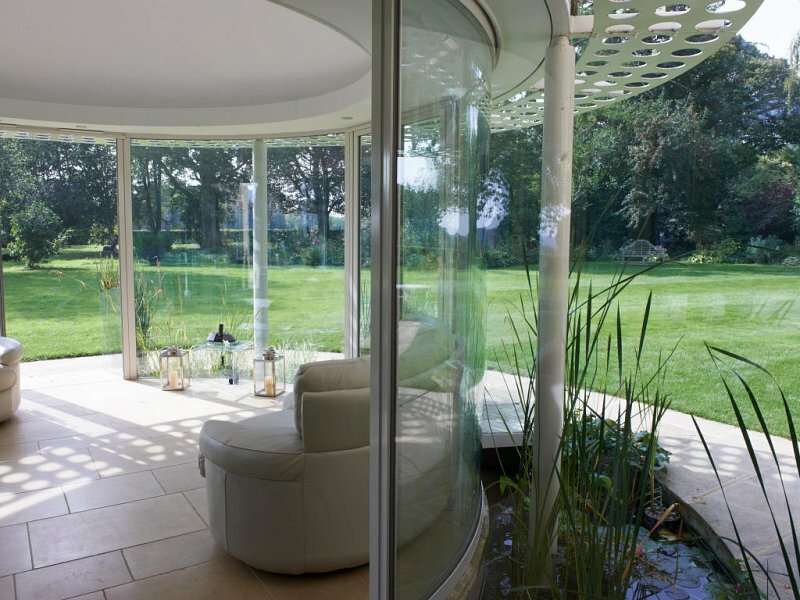 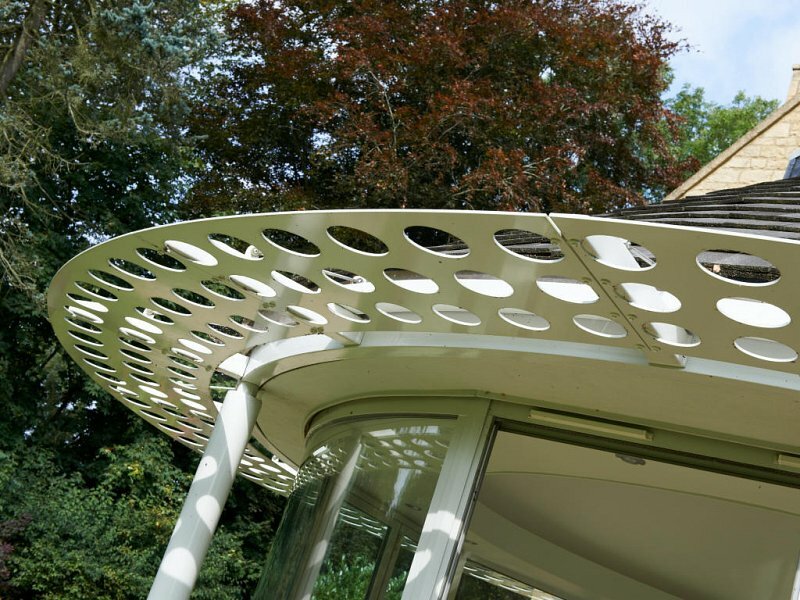 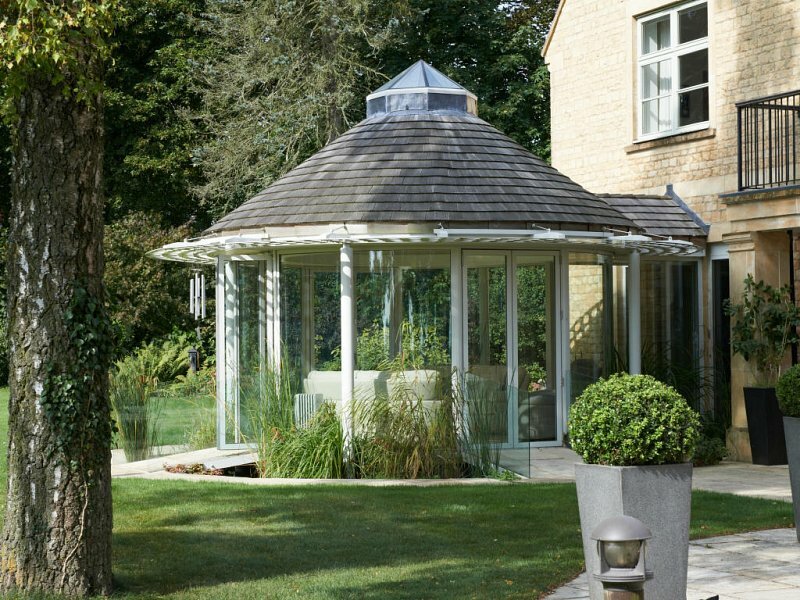 We were approached directly by the client to construct a contemporary round summerhouse with brise soleil sun shading. 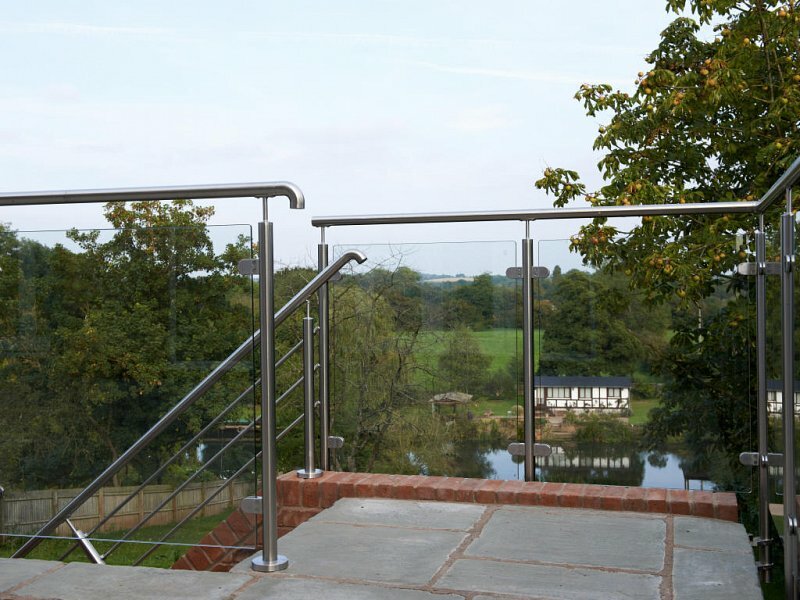 Access over the surrounding moat was provided by two small steel bridges incorporating glass balustrade on both sides. 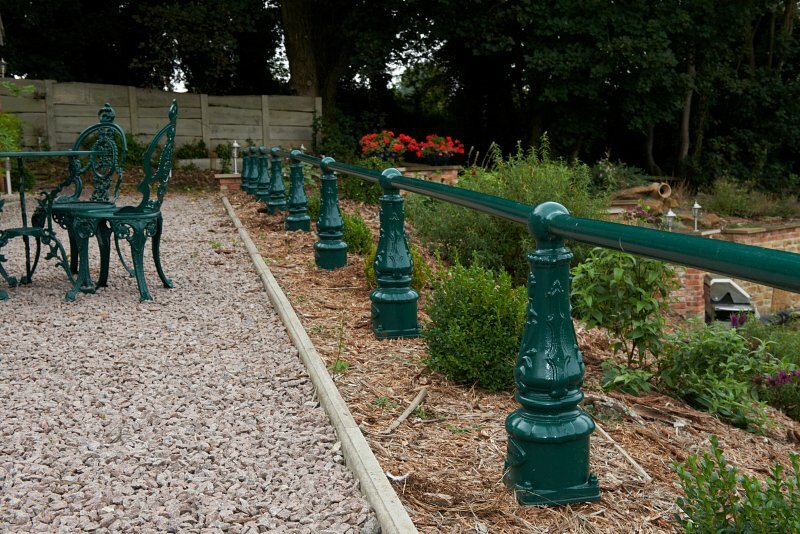 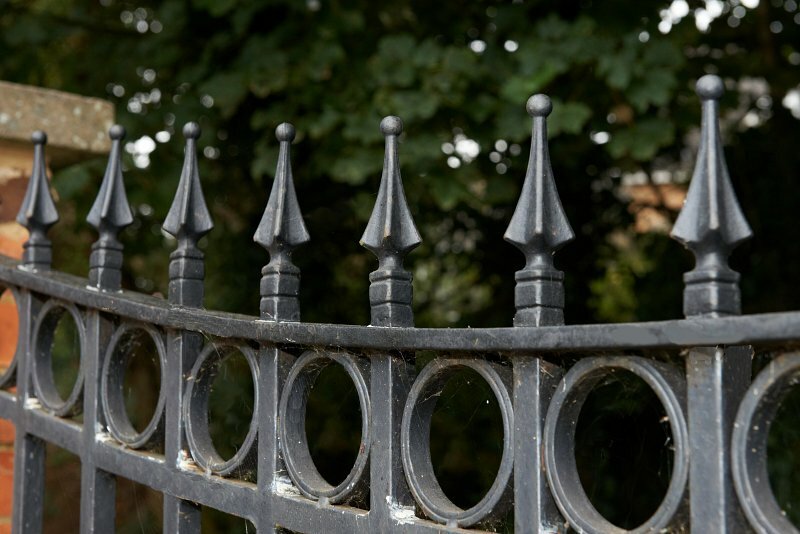 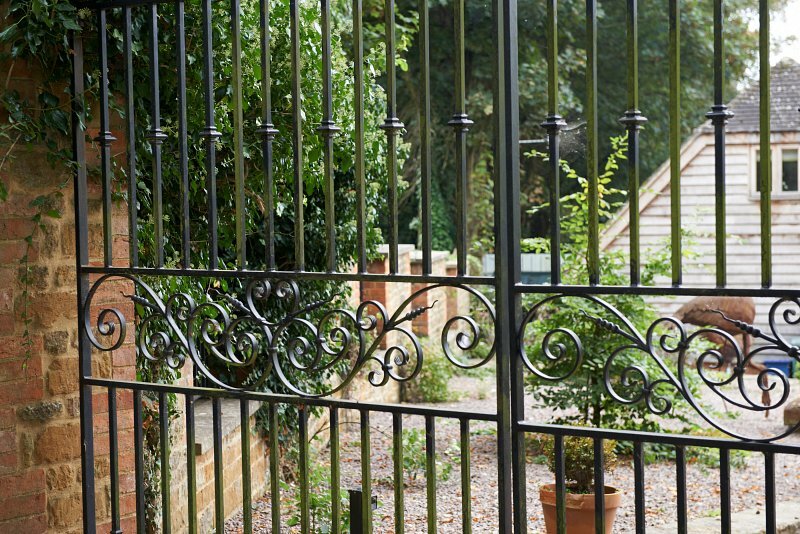 All steel items were galvanised and polyester powder coated to the clients’ specific colour requirements. 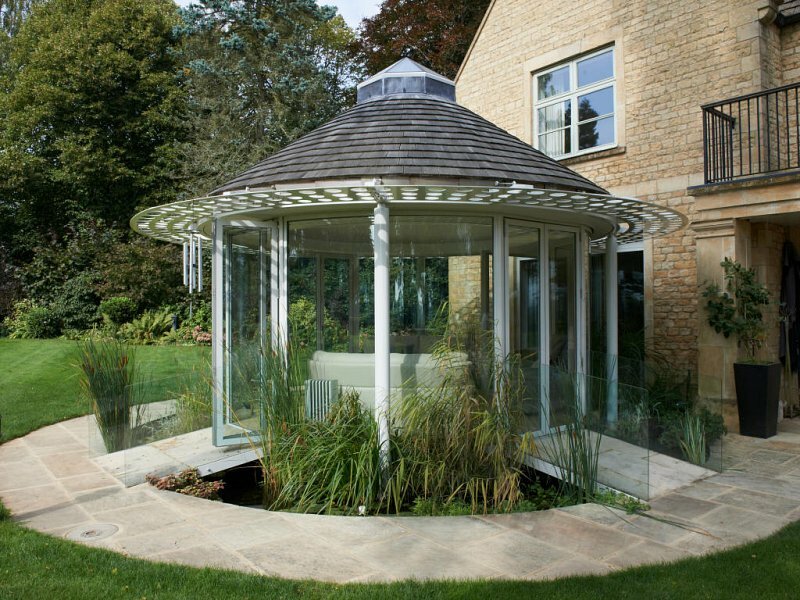 A modern and functional garden building was the result. 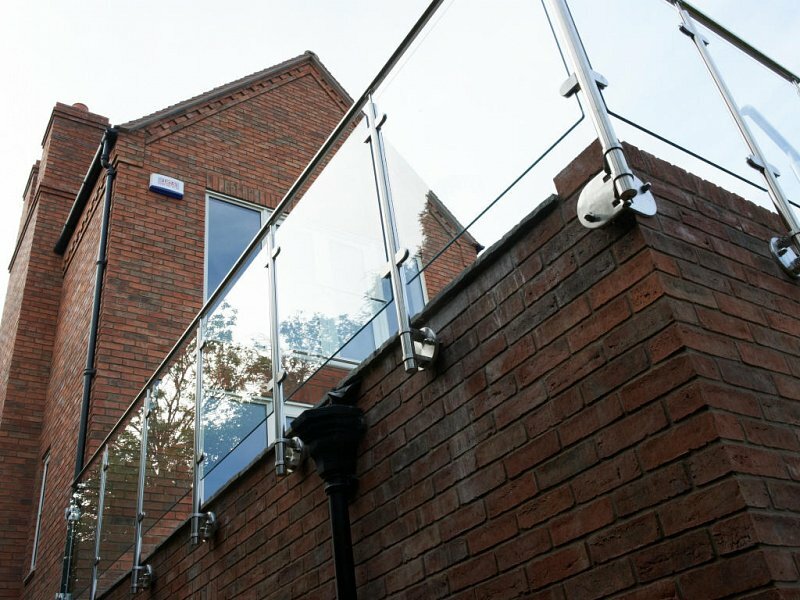 This project required the external modernisation of a roof terrace, first involving the removal of wrought iron balustrade. 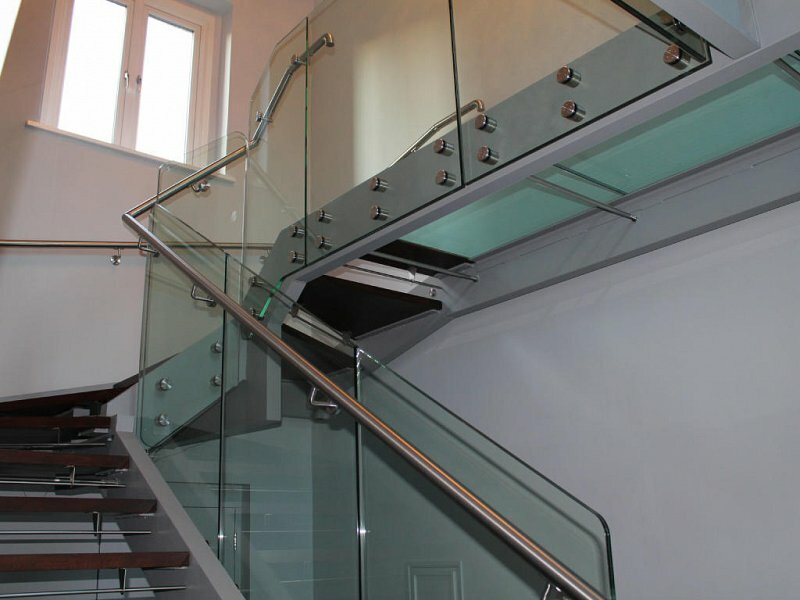 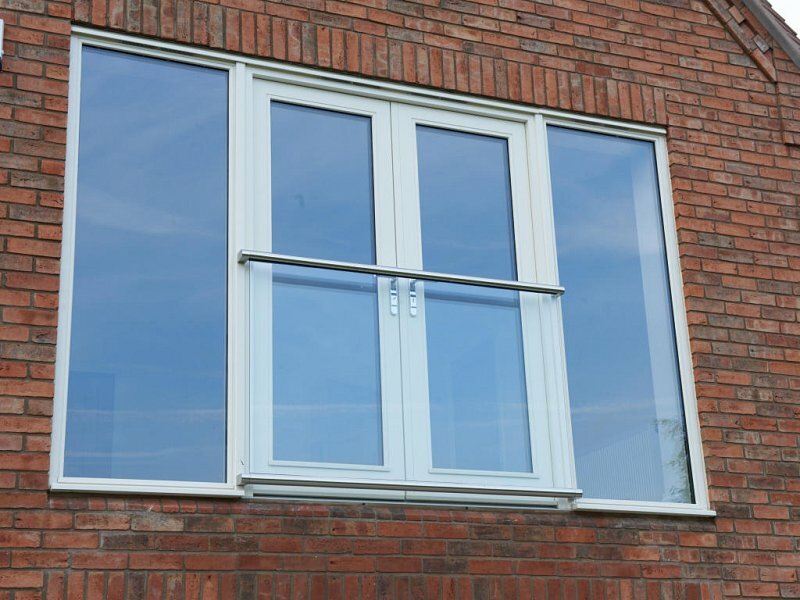 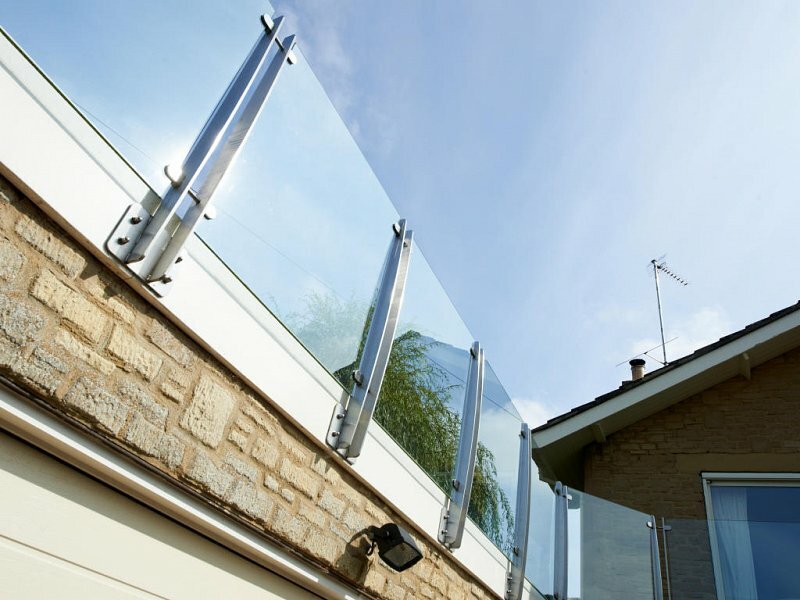 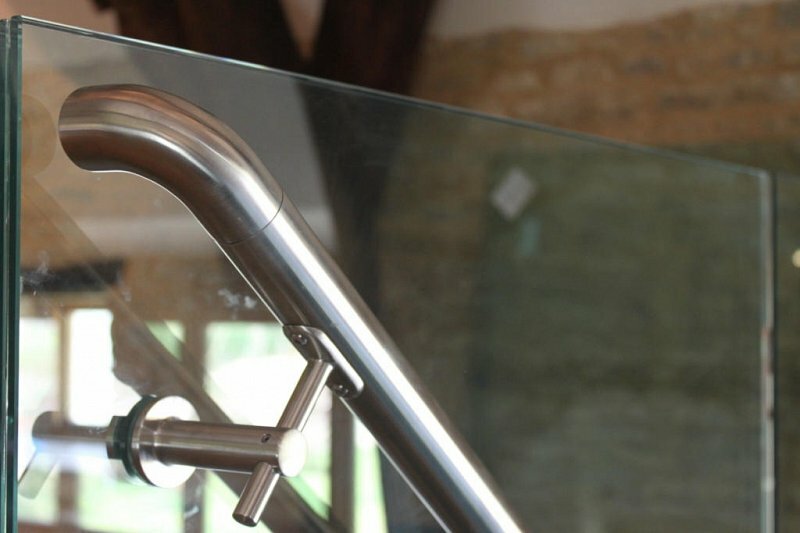 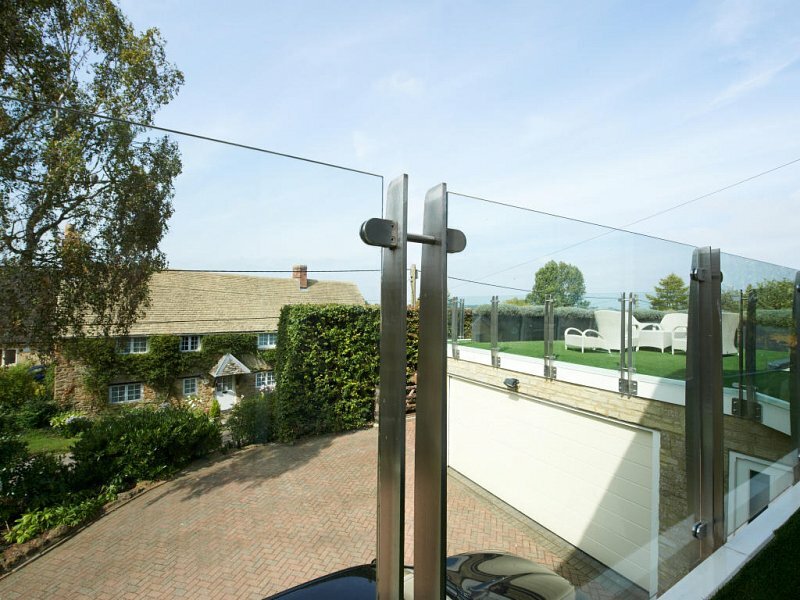 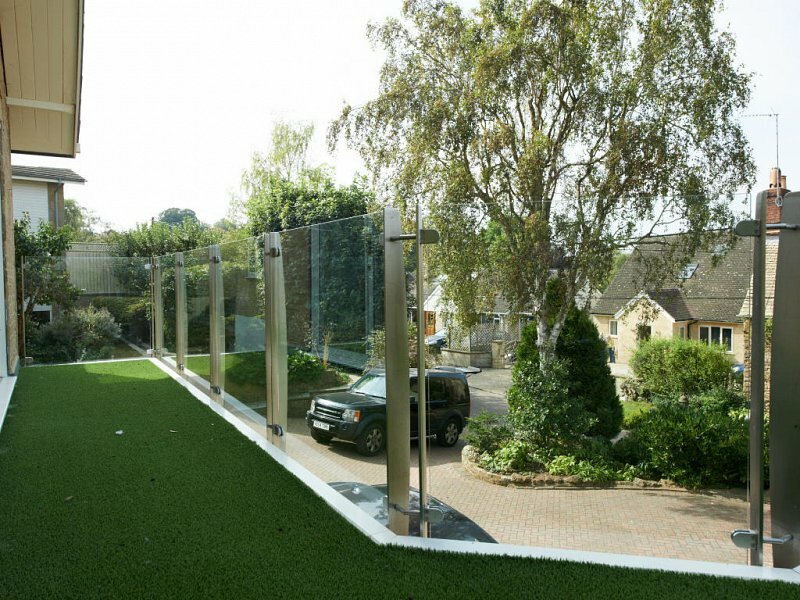 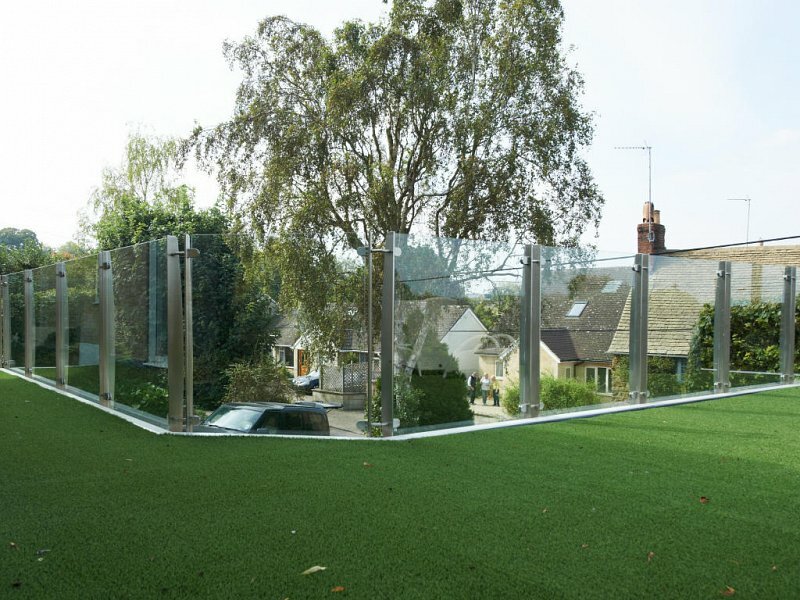 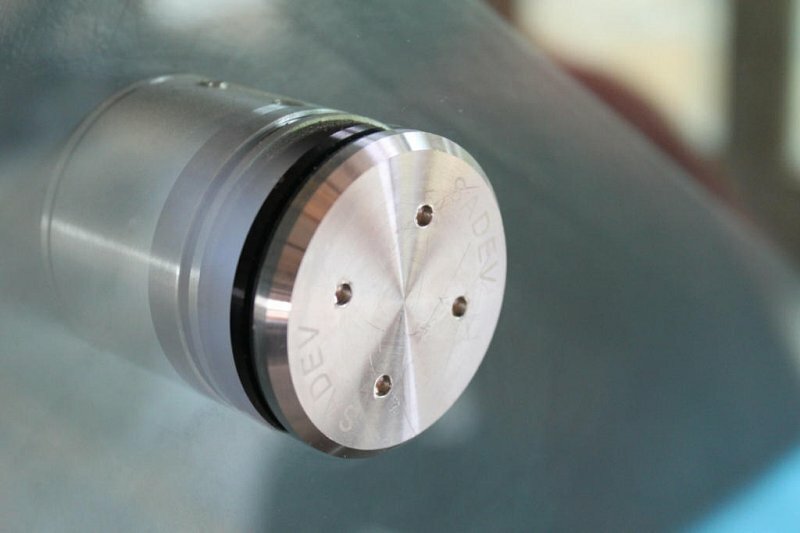 Its modern replacement consisted of laser profiled brushed stainless steel face fixed standards with toughened and laminated glass infill’s securely fixed via glass clamps. 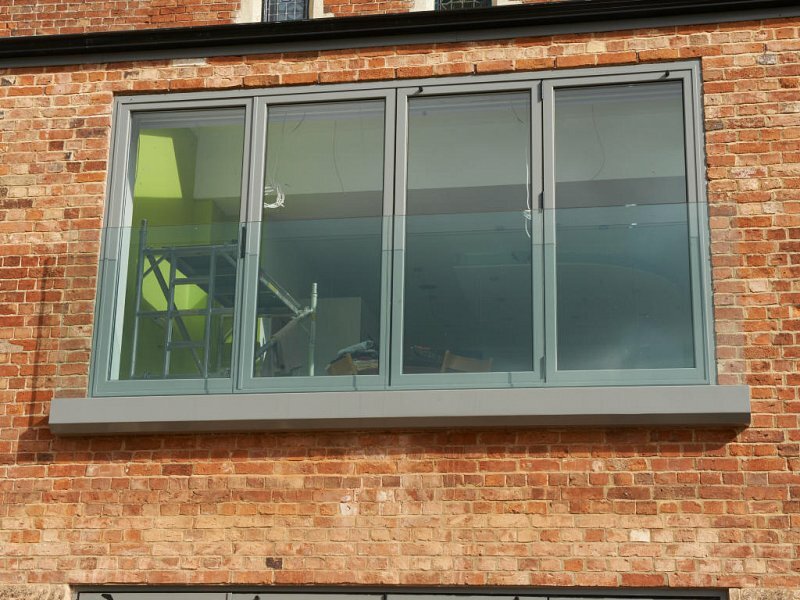 Polyester powder coated aluminium flashings encapsulate the existing dated timber facia. 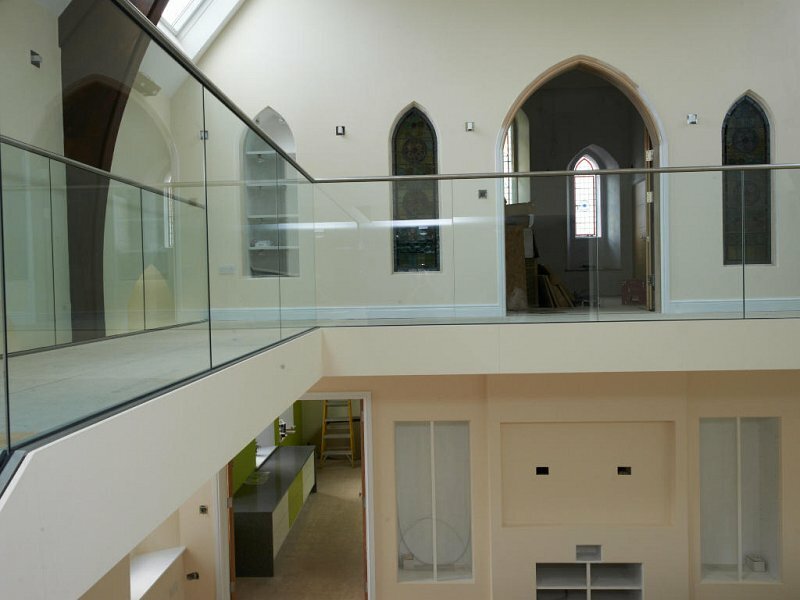 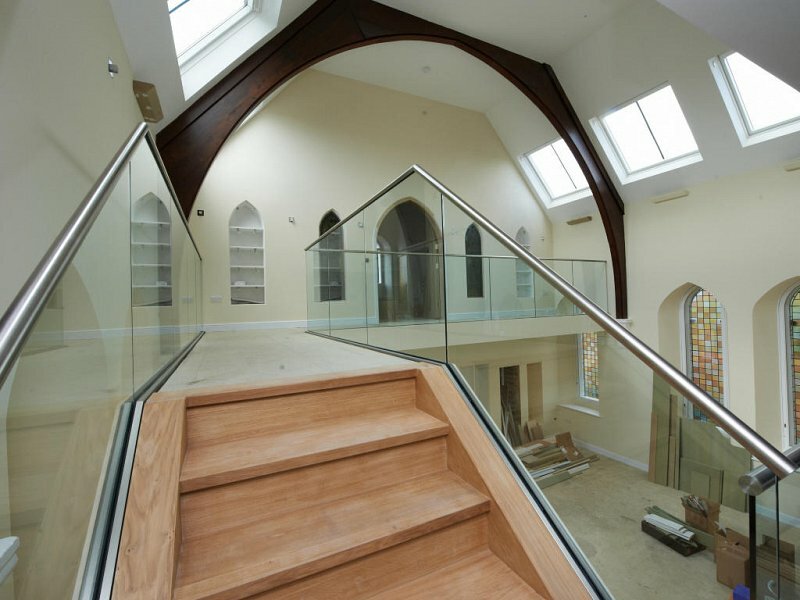 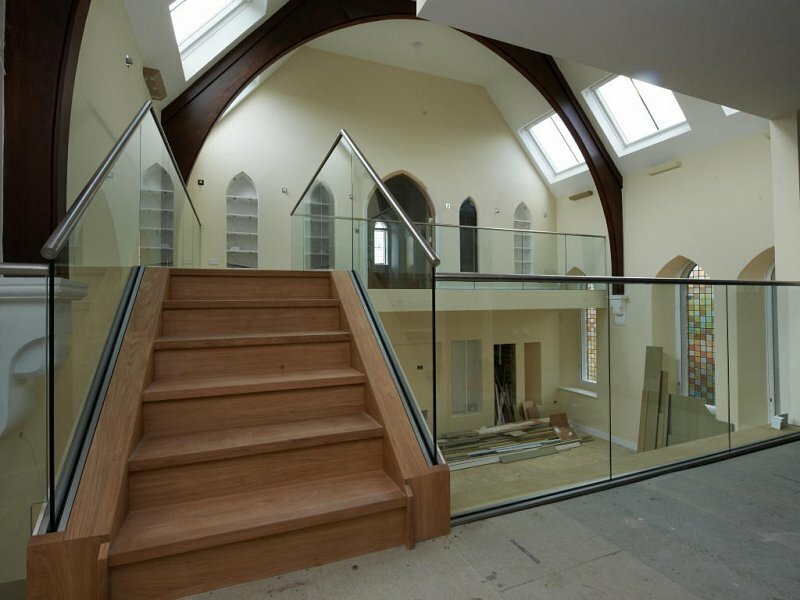 This was an interesting project for Riteweld; the conversion of a church into a domestic dwelling. 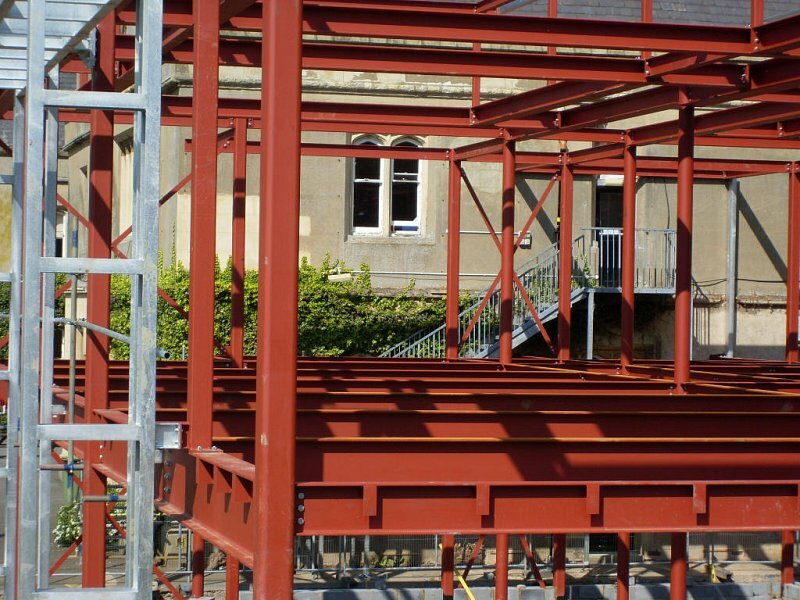 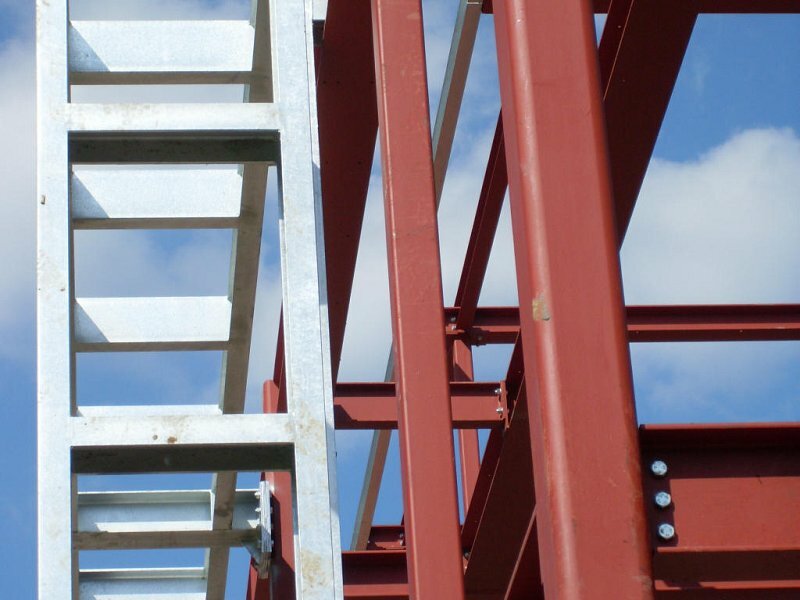 Steel framing was first installed to provide the basis of the building floors and was followed up with the installation of the stair structure. 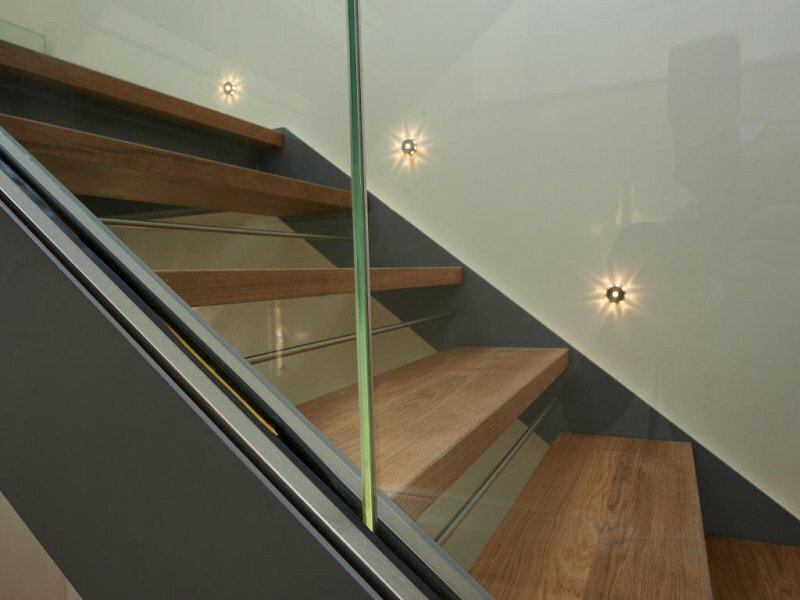 Lighting was a major consideration with the client requesting the glass panels to emit a glow of light. 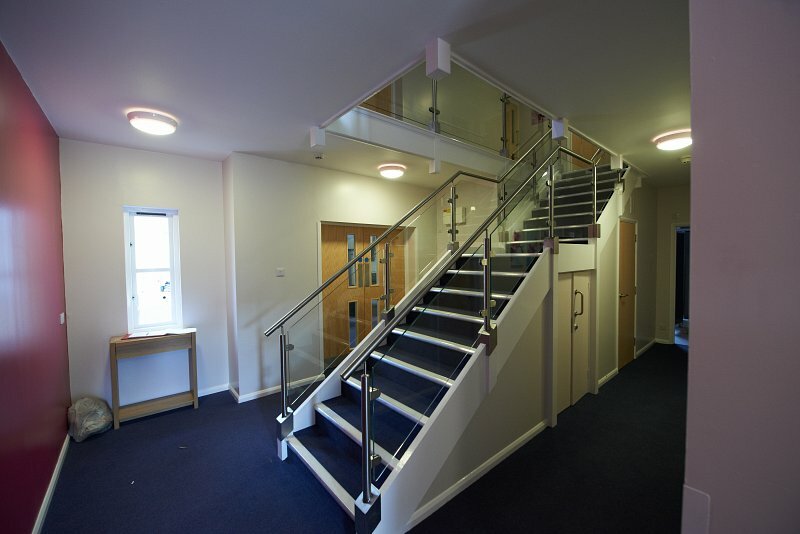 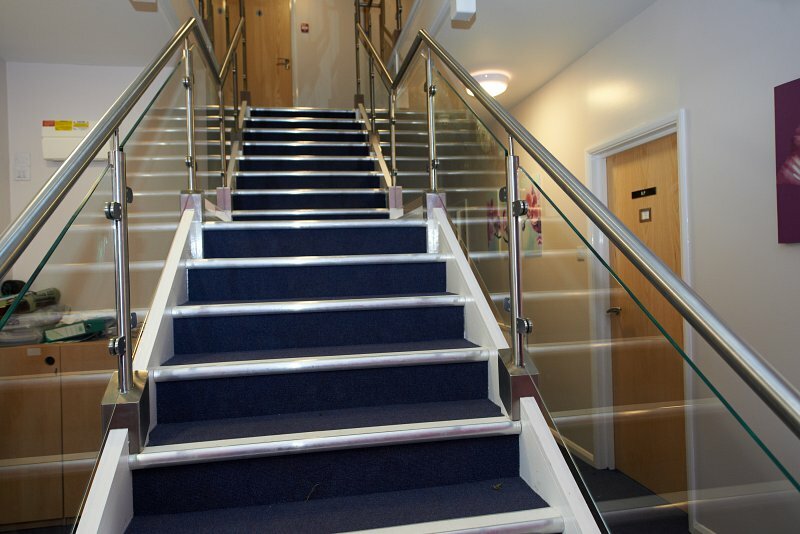 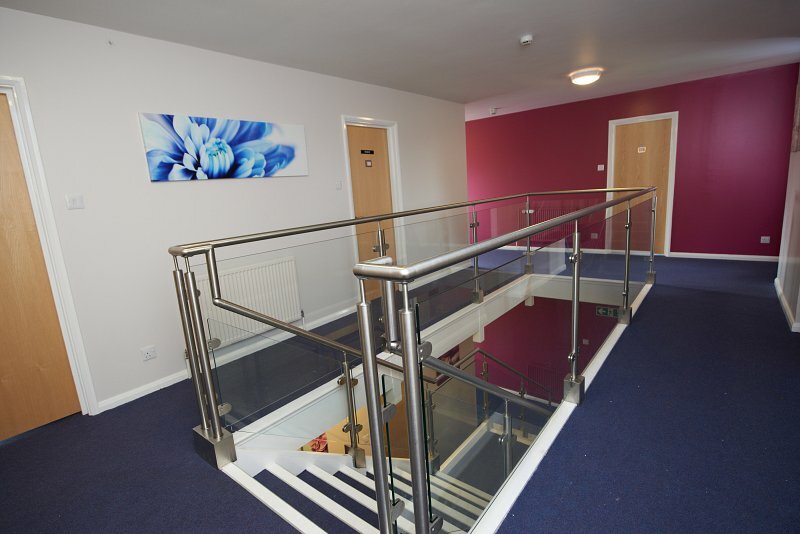 A base mounted track system fixed around the stairs and main atrium with an integrated LED mood lighting system. 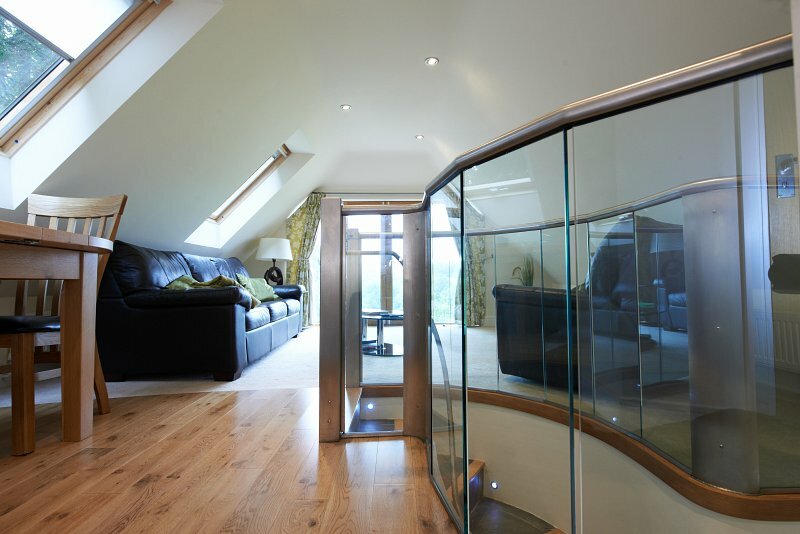 A good example of how glass and light can work together to change the room ambiance. 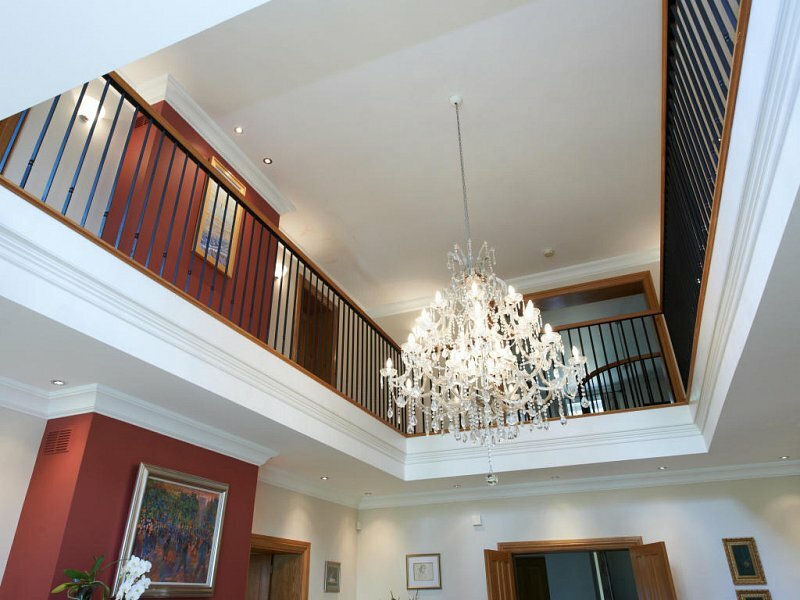 A grand atrium was the client’s request. 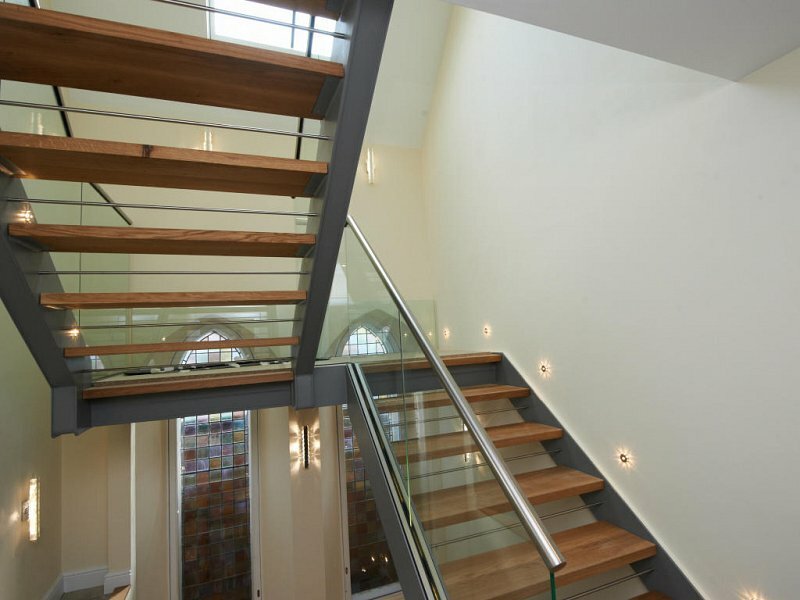 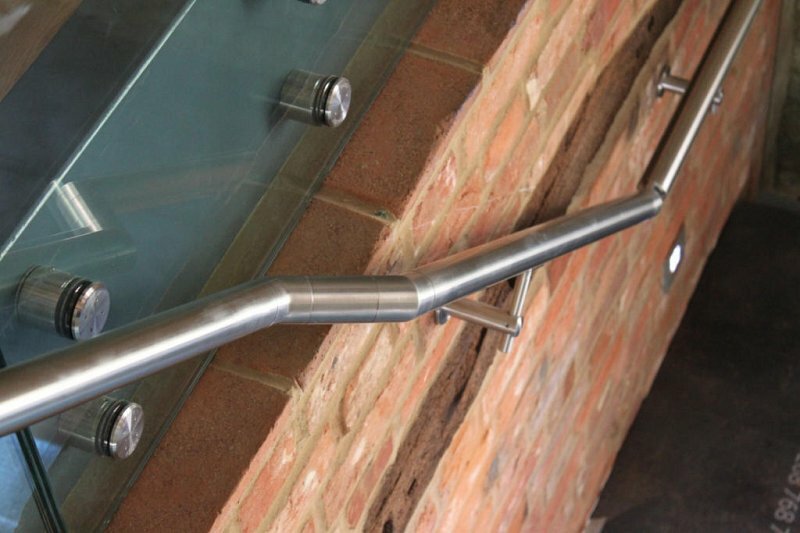 Riteweld Engineering’s design team came up with a steel and oak balustrade solution. 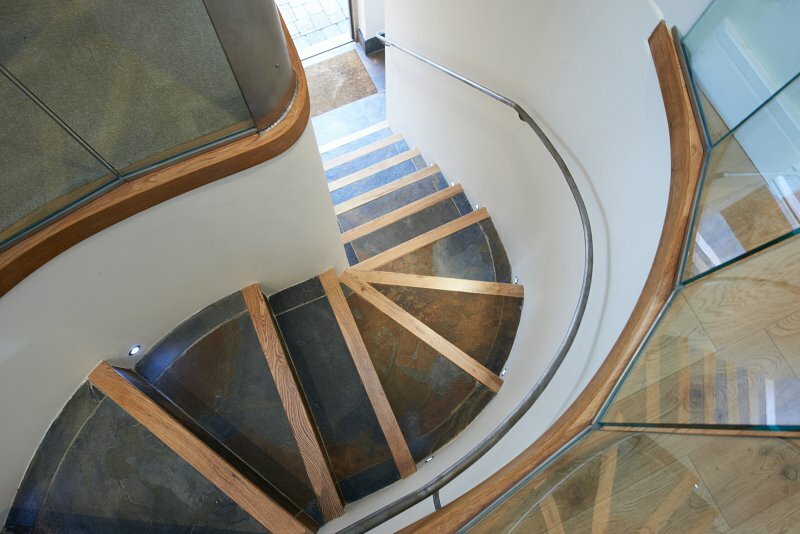 Solid square mild steel bars with a decorative twist were individually resin bonded into the marble floor zone to provide a sleek appearance capped with a complementing oak handrail. 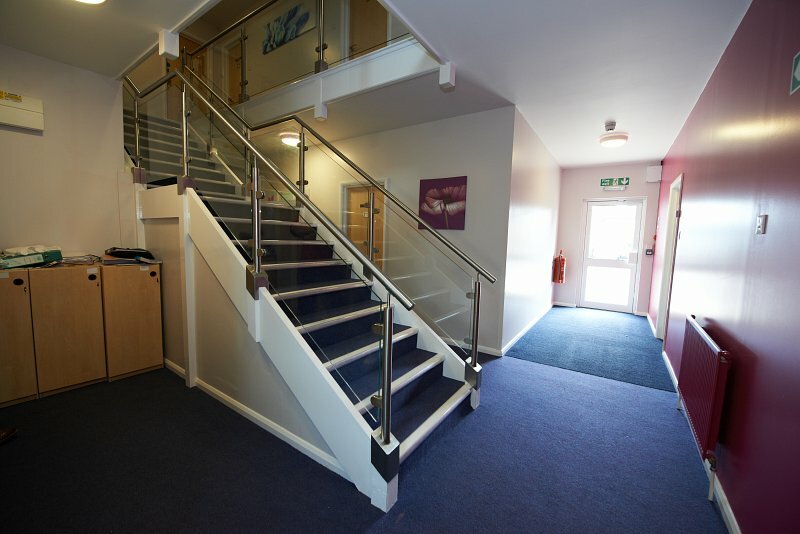 This theme was continued on all atriums and around the main entrance stone stairs.